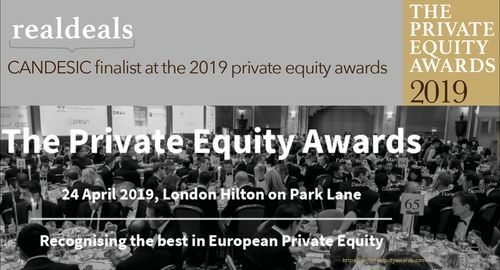 Candesic proud to be a finalist: 2019 #privateequit #cdd awards Real Deals. 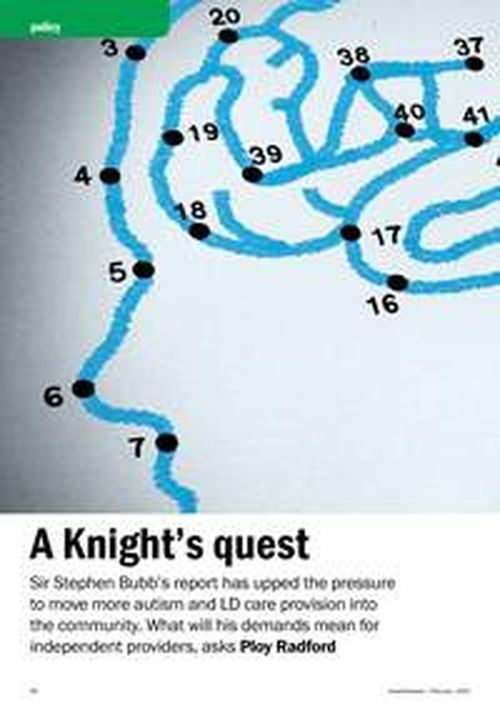 Sarah Neville in today's FT: AstraZeneca is mounting a big push into digital technologies, which includes hiring a former Nasa artificial intelligence expert Richard Dearden. 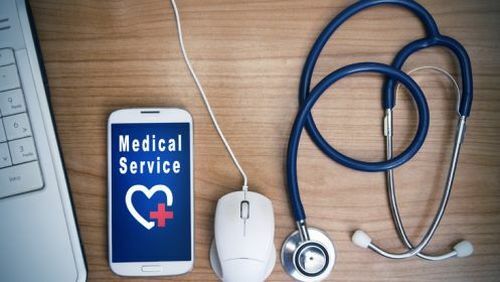 The price of a product will depend on the total cost of treatment and disease, which requires in turn, real-world evidence and data of the patient’s interaction with the health system. 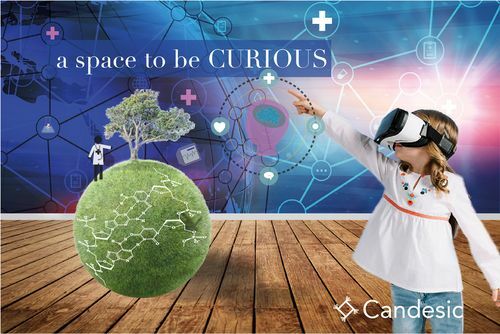 Candesic’s recent projects in the field of digital health suggests partnership interactions among agents of the health system, resulting in smooth inter-operability and interfacing. 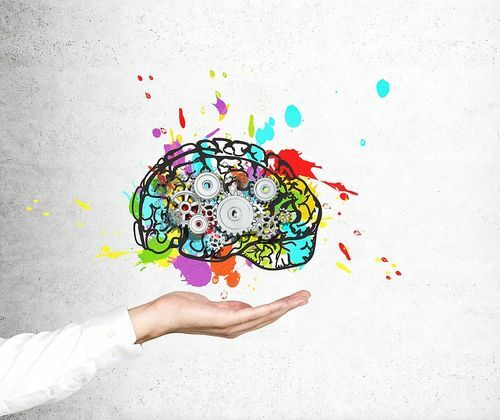 One of the points raised by the article is the need for flexible skills, to cover artificial intelligence and data science, but also understand biology. This is one of the constant challenges we face as multi-faceted consultants. 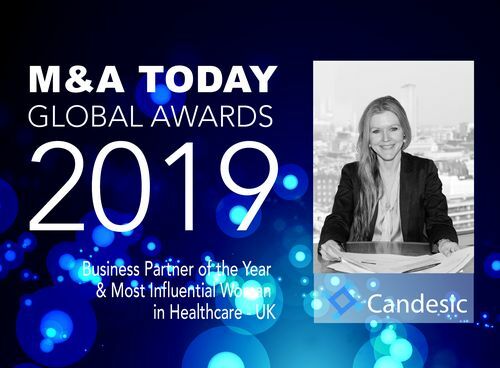 Candesic's Dr Michelle Tempest has been awarded the "2019 Business Partner and most influential woman in healthcare - UK " by M&A today. 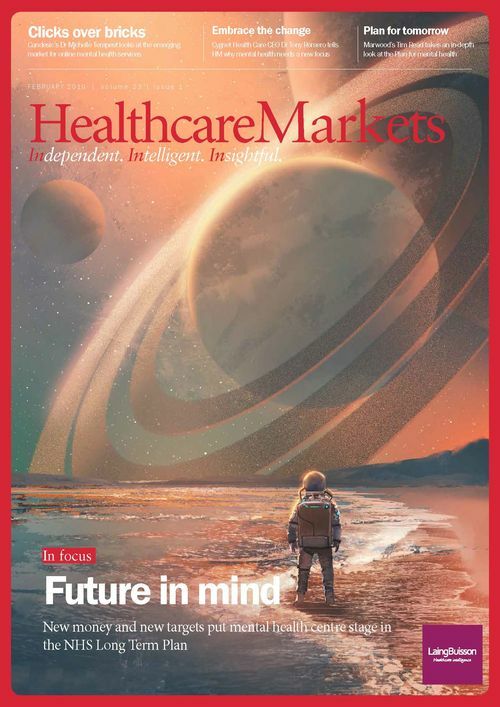 We are very proud to be among the UK 2019 Financial Times recommendations for leading management consultants in Healthcare and life sciences, Improving care and life sciences with passion and integrity. 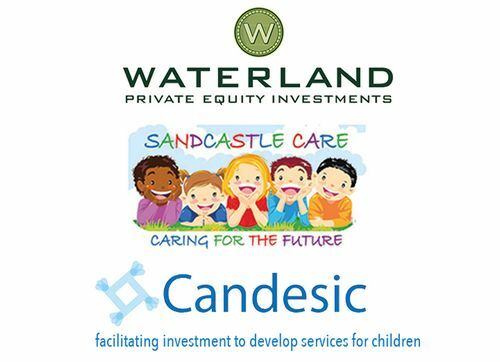 Candesic is proud to have been the Commercial Due Diligence Advisor for Waterland on their acquisition of Sandcastle. Sandcastle provides residential services in the North West for children who are in need of psychological support to transform their lives. 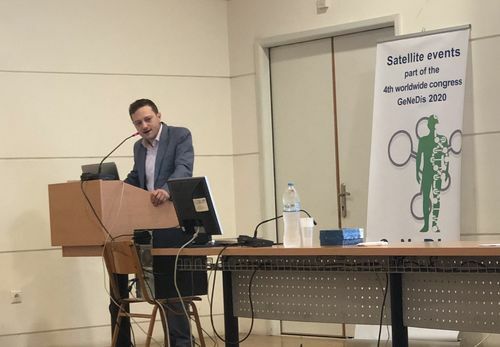 Candesic's Dr Joe Taylor and Dr Timothy Owen are pleased to deliver lectures on the future of dementia diagnosis and treatment at the Ionian University in Corfu, Greece as part of the GeNeDis 2020 Worldwide Congress. 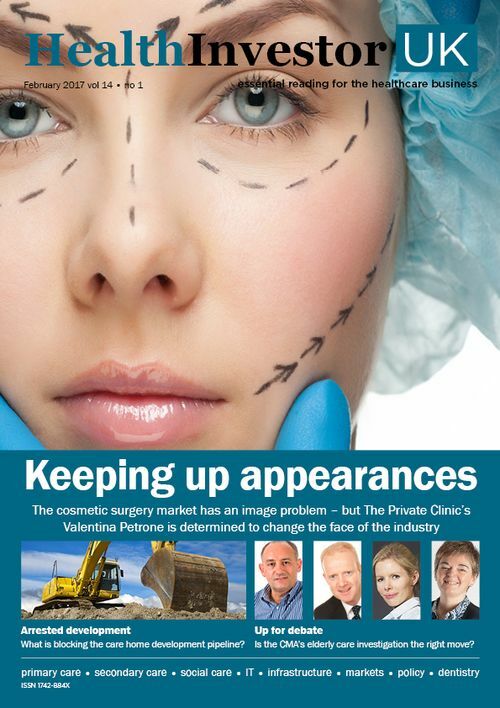 Dr Michelle Tempest has been named as a global influencer by the Influencer Times. Frequently viewed as a cosmetic procedure, varicose vein removal is being restricted to the point where it could soon become non-existent on the NHS except in the most severe cases. 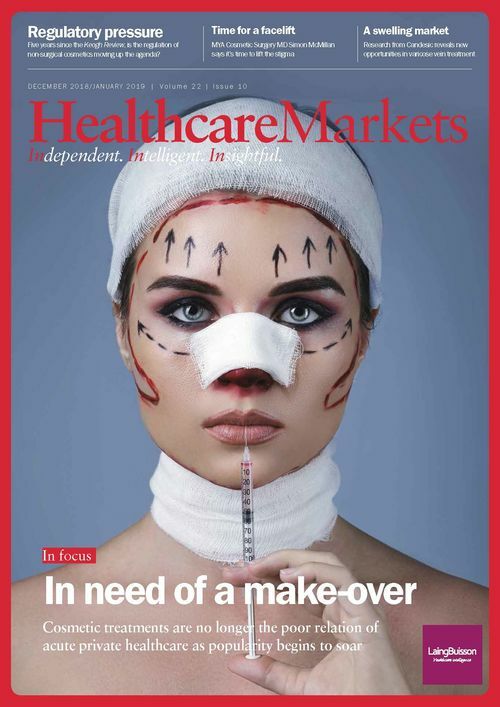 The result has been a boom in demand for treatment in the independent sector and as Dr Joe Taylor explains, high growth rates, a healthy pool of consultants and a fragmented market could present opportunities of scale. 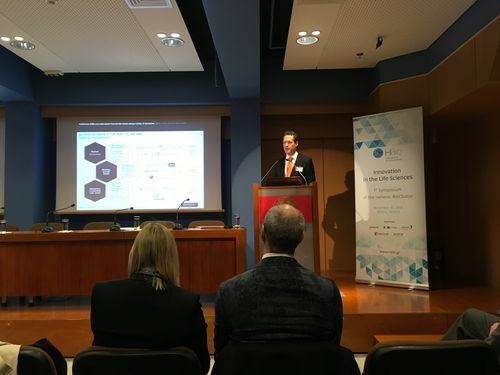 Candesic's Managing Partner, Dr Leonid Shapiro, presented at this leading conference which gathers top Greek life science companies, investors and advisors. 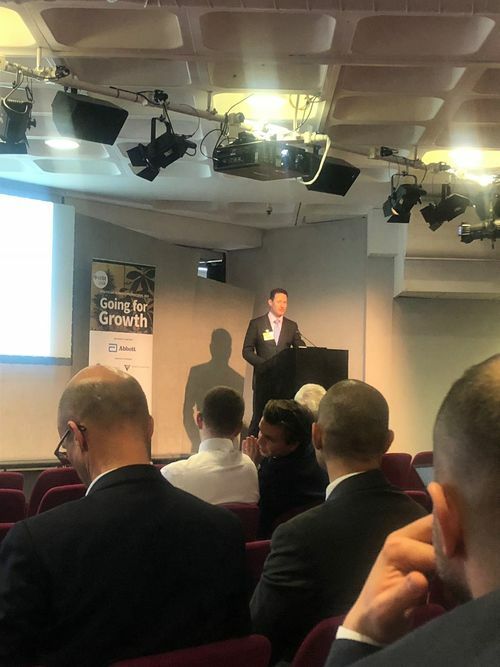 Leonid spoke about access to finance for life science companies and how capital can be secured to foster accelerated growth. 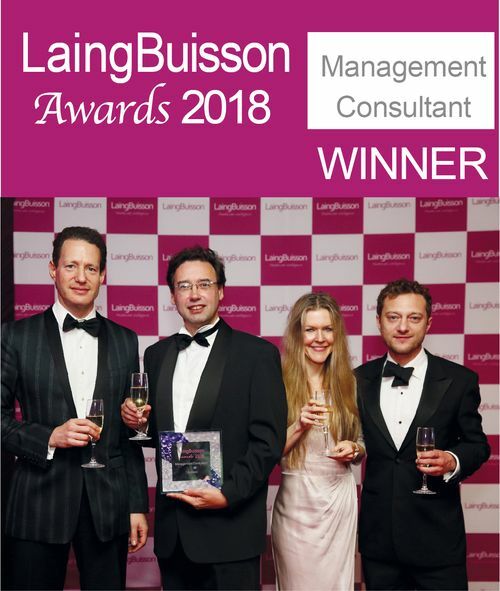 Candesic was named the Winner of the Management Consultant at the LaingBuissin Awards 2018. The Award was presented to us in recognition of our outstanding services. It's not about us. We contribute, with you, to improve health and social care. When it comes to digital disruption in healthcare, oncology, perhaps more than any other specialty, is changing the most. 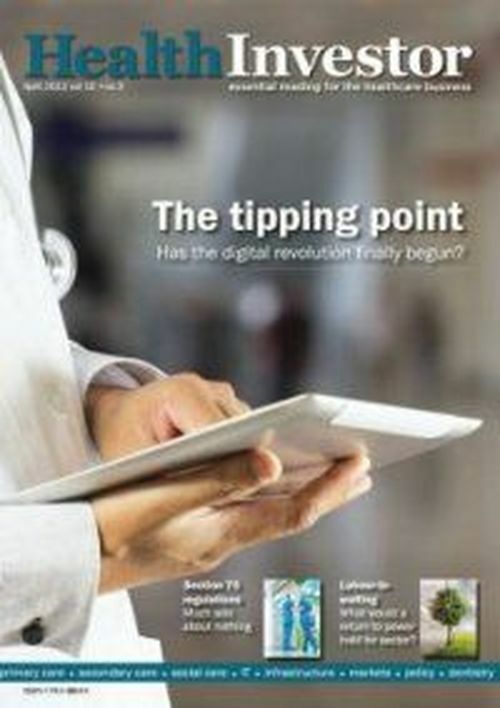 Dr Michelle Tempest and Roma Dixit discuss how big pharma is following in the footsteps of tech giants to harness the revolutionary benefits of digital. 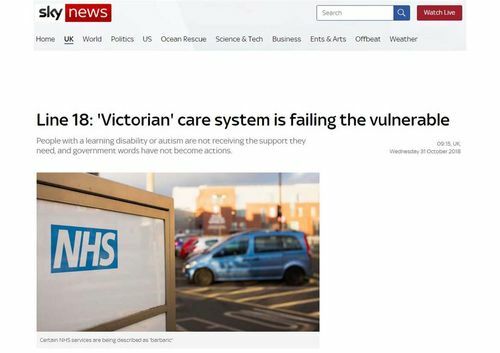 Sir Stephen Bubb, Senior Advisor at Candesic, commented in the Sky News about the care of people with Learning Disabilities and Autism. 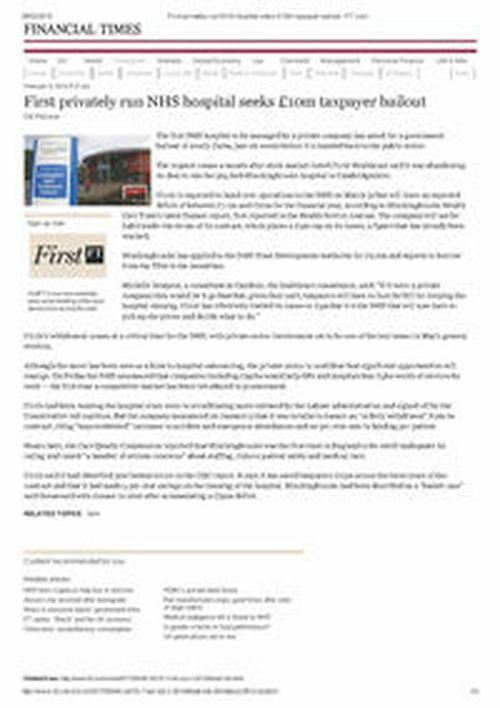 Dr Michelle Tempest was quoted in the Financial Times about the outsourced health services news. Dr Joe Taylor spoke about how providers can negotiate the changing demands on home care in Bristol. 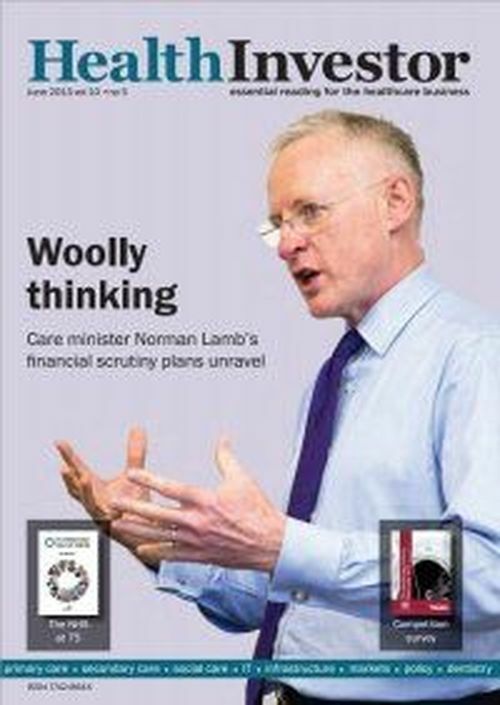 He argued that mental health had to be put at heart of home care. Subsequently he was upstaged by a robot. 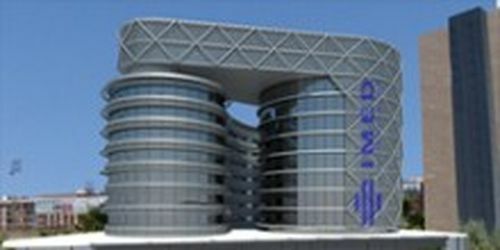 Aspen Healthcare, an independant healthcare organisation consisting of 9 acute care hospitals, has been sold to UAE-based NMC Healthcare. 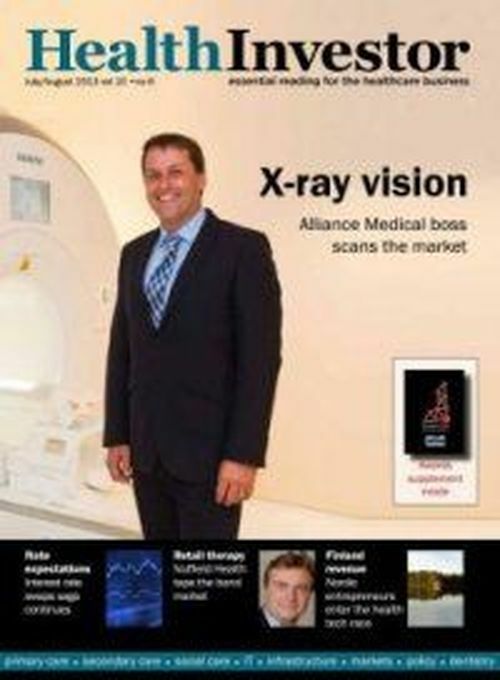 Dr Leonid Shapiro was quoted in the article in HealthInvestor that considers what this new aquisition means for NMC. 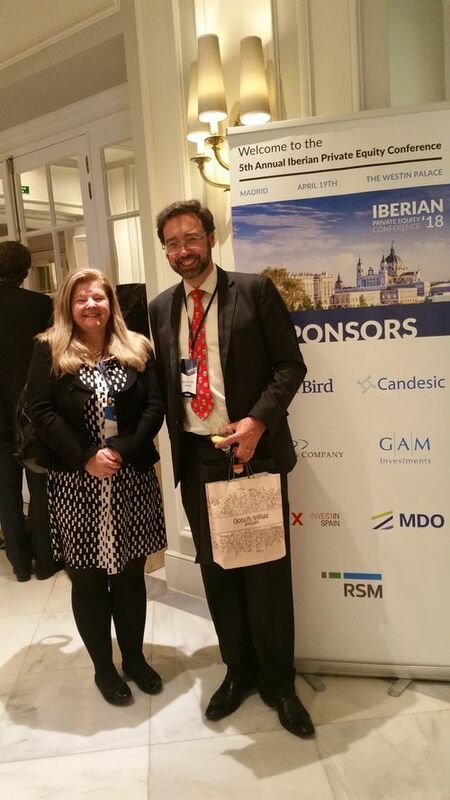 Dr Michelle Tempest was invited to be the speaker at the European Healthcare Private Equity Leadership Forum organised by McDermott Will & Emery. 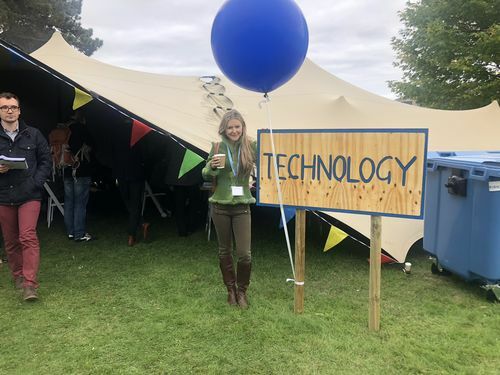 Dr Michelle tempest spoke about healthcare technology at the Big Tent of Ideas conference. It was a cross party conference with fresh new ideas in each tent. 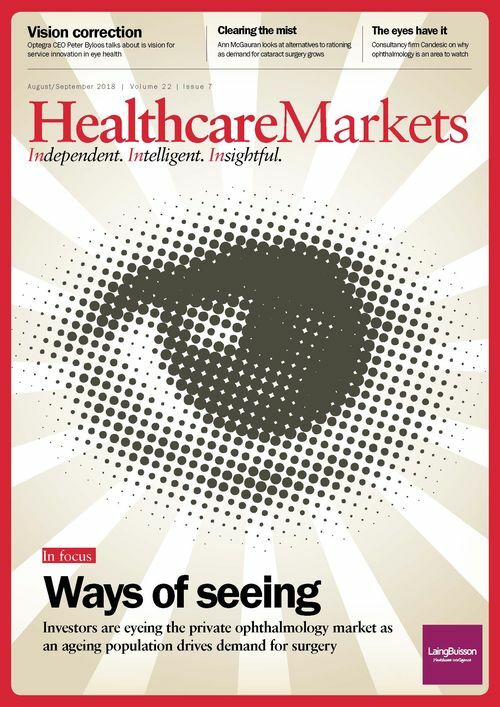 Dr Michelle Tempest and Patrick Bansch of bespoke health and social care strategy and investment consultancy Candesic get a close-up look of the private ophthalmology market to find out if the sector is ripe for disruption. 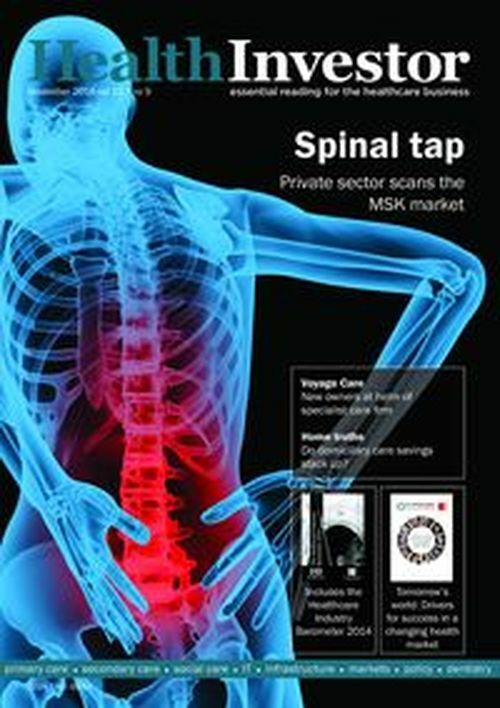 Candesic's Dr Michelle Tempest commented on how the private hospitals market has been affected by the NHS in the Financial Times. 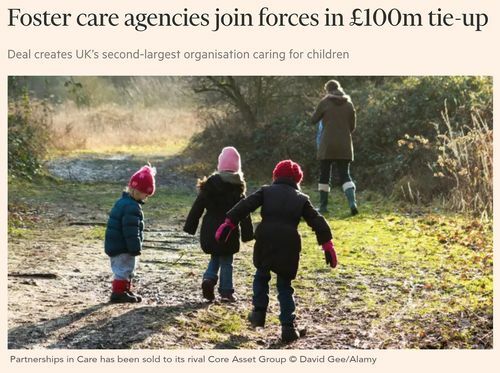 Candesic's Dr Michelle Tempest commented on the children's care services merger in the Financial Times. 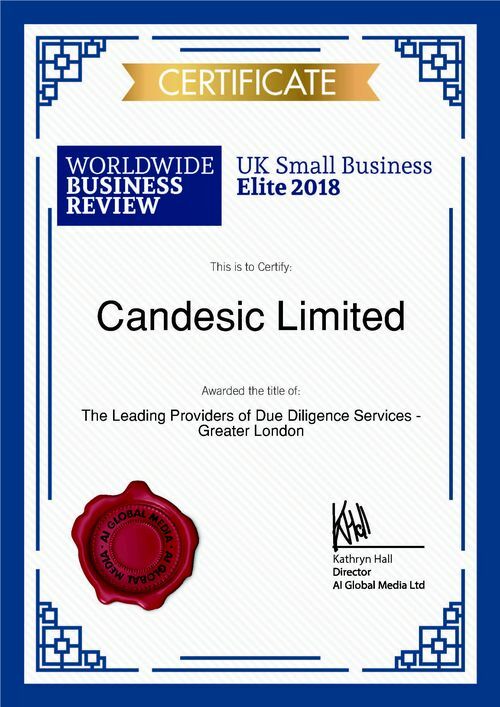 Candesic has been awarded the "Leading Providers of the Due Diligence Services - Greater London" by AI Globalmedia Publication. 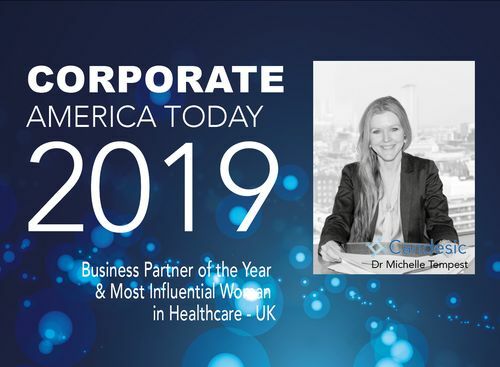 Candesic's Dr Michelle Tempest has been awarded the "2018 Influential Businesswoman Awards - Healthcare Management Consultant Consultant of the Year 2018 - UK"! 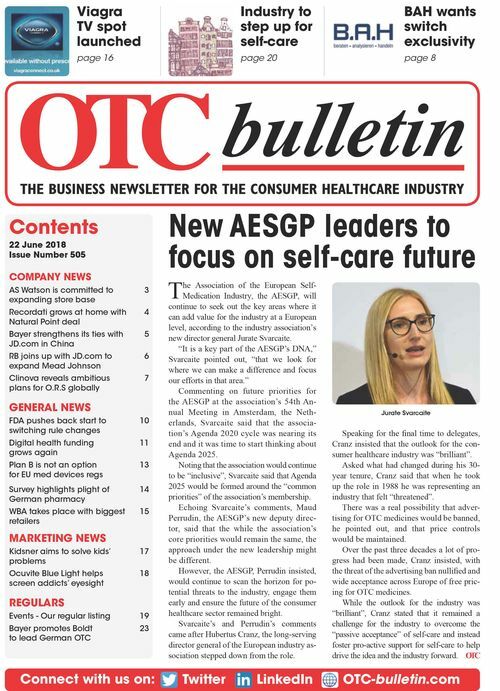 Candesic's Dr Joe Taylor is quoted in the OTC Bulletin discussing consumer healthcare products and technology. 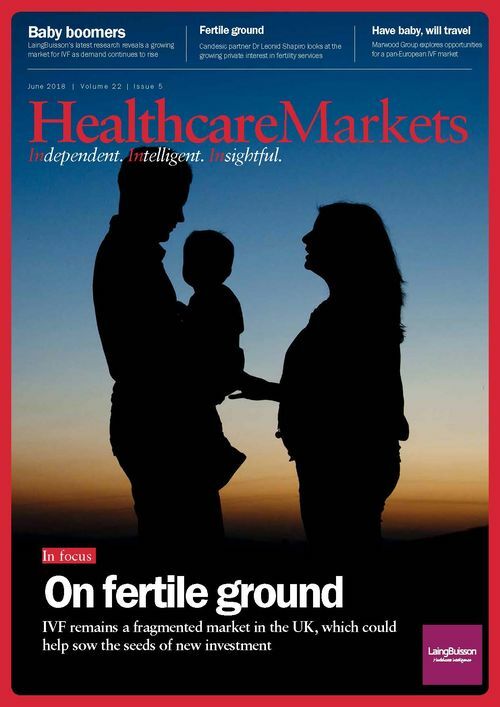 IVF fertile ground for consolidation? 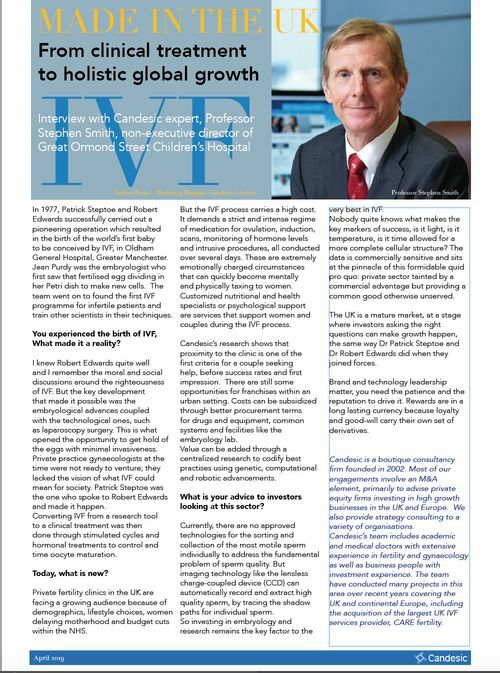 Candesic's Dr Leonid Shapiro comments on the IVF and fertility treatment in the Healthcare Markets published by LaingBuisson. 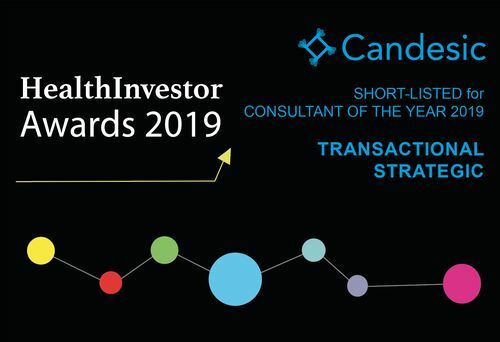 Candesic are delighted to win Consultants of the year - Transactional at the HealthInvestor Awards 2018. 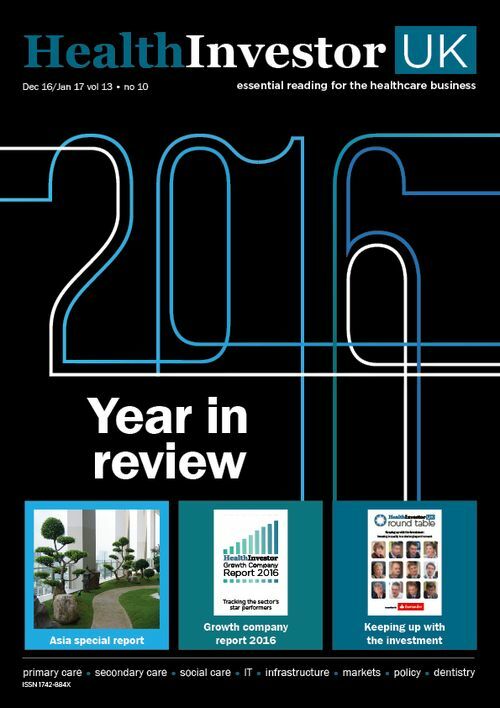 A double honour as last year Candesic won Consultants of the year - Strategic. 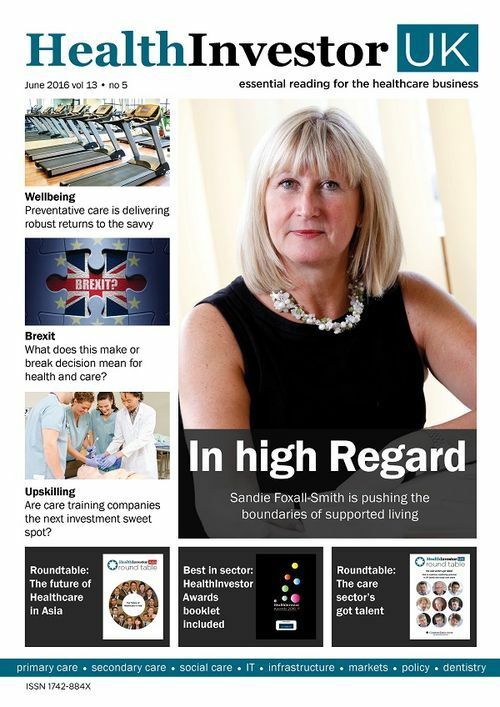 Candesic want to THANK YOU - The care sector is built on long-term personal relationships and we really enjoy working with our clients to improve healthcare in the UK and around the globe. How was Artificial Intelligence born? 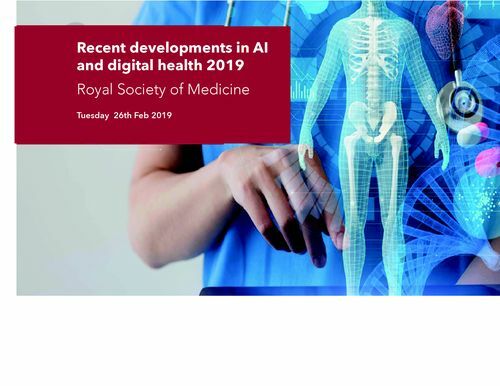 How will AI evolve and affect the future of life, including healthcare? 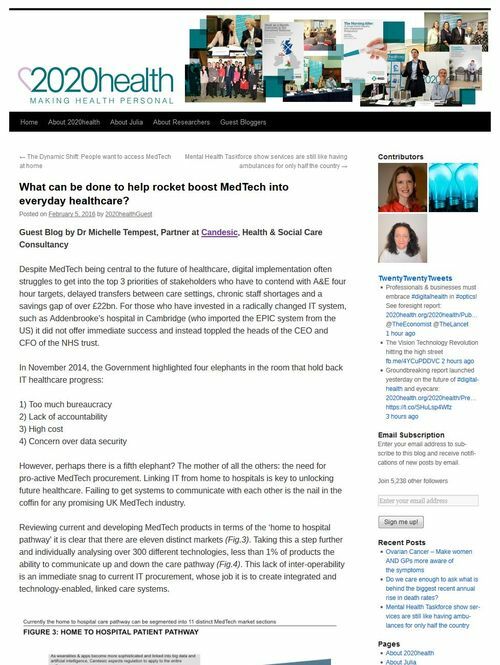 Candesic's Dr Michelle Tempest wrote an article about Artificial Intelligence (AI) published by the Healthcare Digital. 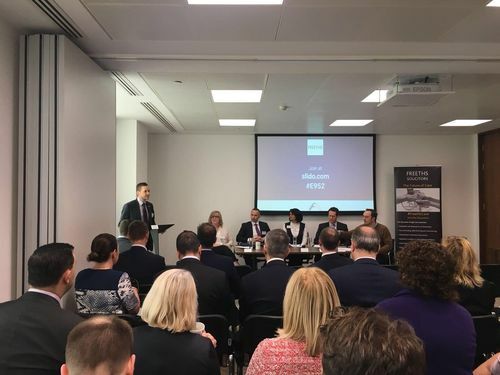 Candesic's Dr Michelle Tempest has been invited to be the panelist at the TMT Sector Update organised by Simmons & Simmons. 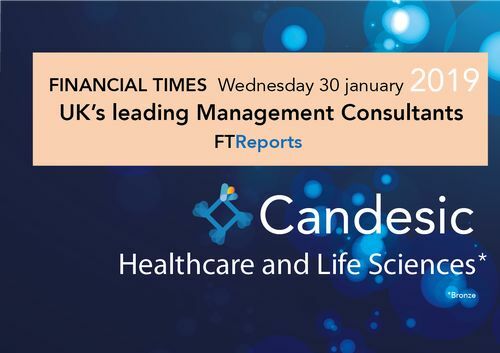 Candesic's Dr Michelle Tempest commented on Bridgepoint's sale of Britain's biggest provider NHS Services in the Financial Times. 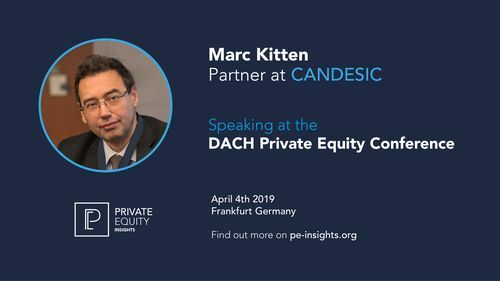 Candesic's Marc Kitten was the moderator at the Small & Mid Cap Panel Discussion at the Private Equity Insights Madrid Conference. 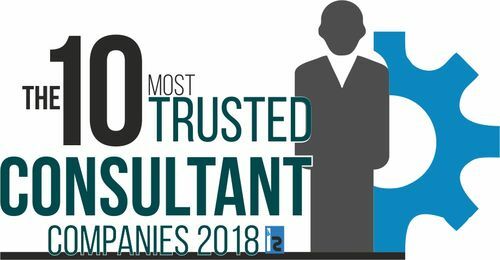 Candesic's focus on delivering great quality work across multiple industries stands out, and this was particularly noted for their work in the healthcare sector where they demonstrated a deep understanding of that industry in the deals conducted in 2017. 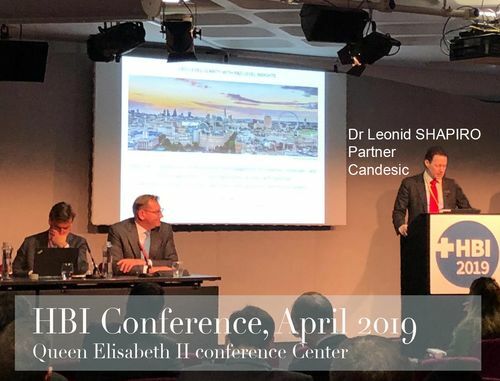 Dr Leonid Shapiro from Candesic spoke at the Healthcare Business International Conference 2018 looking at growth and opportunities in global healthcare. 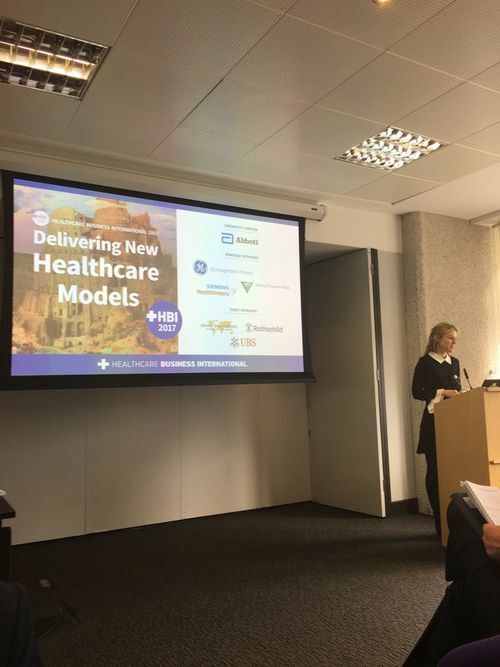 Dr Michelle Tempest from Candesic spoke at the Healthcare Business International Conference 2018 looking at growth and opportunities in global healthcare. 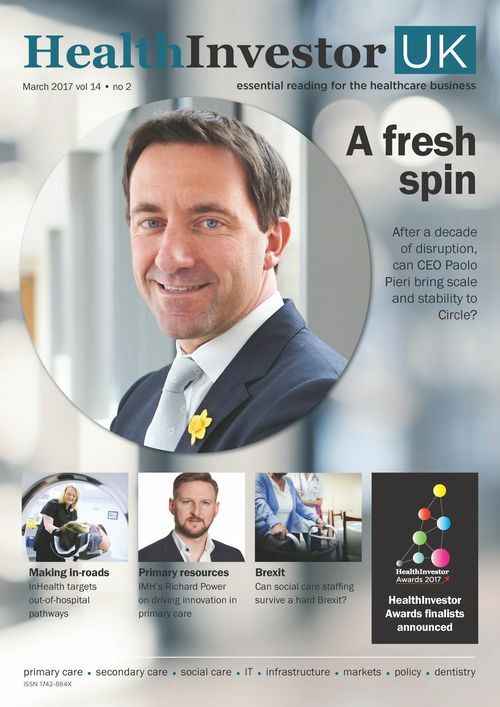 Candesic's Dr Joe Taylor is quoted as an expert in WIRED magazine this month, noting how app based decision support can fuel growth for healthcare companies. Dr Michelle Tempest, partner at Candesic, and Prof Ian Goodyer, professor of Child and Adolescent Psychiatry look at the state of demand and supply and what can be done to improve access and early intervention for the young. Dr Leonid Shapiro from Candesic joined the Freeths Future of Care event. 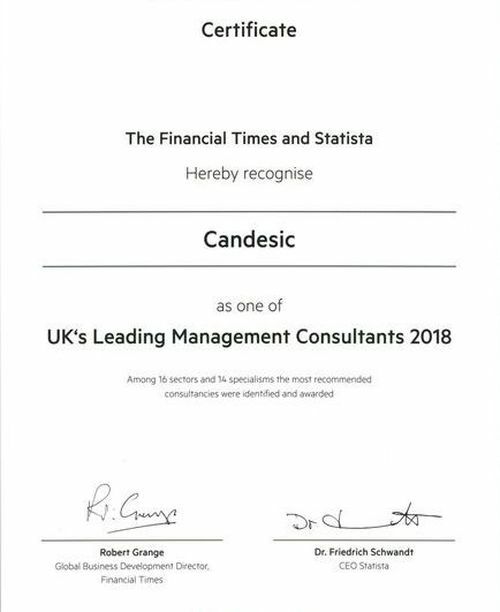 Candesic wins "UK's Leading Management Consultants 2018"
Candesic wins "UK's Leading Management Consultants 2018", a recognition by Financial Times in partnership with Statista. 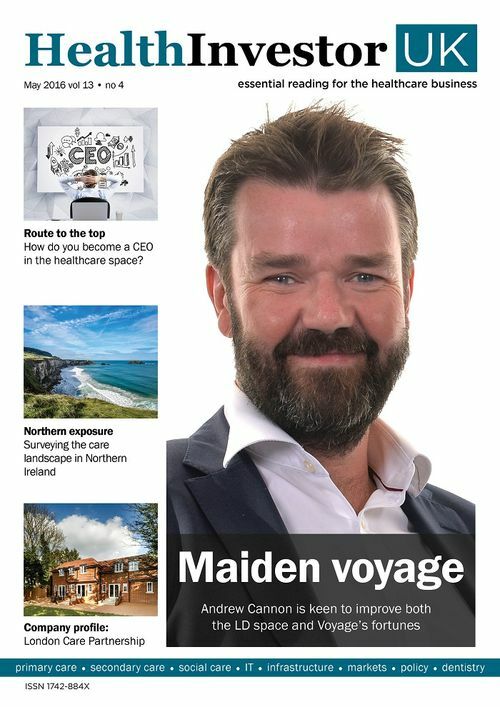 Dr Druin Burch from Candesic and Oxford University Hospital explores the new models of general practice emerging in the 21st century and asks whether they can prove attractive enough to boost the supply of GPs in England. 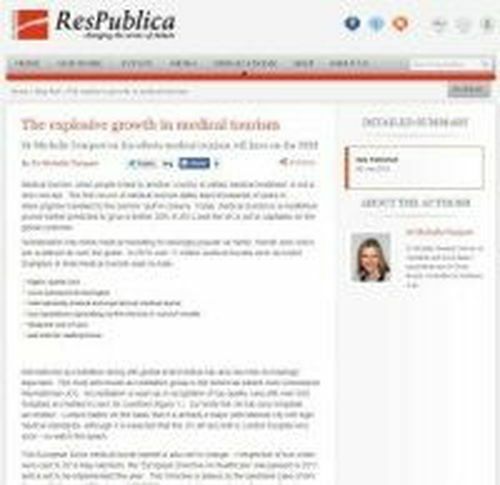 Candesic's Dr Niklas Jahn and Dr Michelle Tempest suggest a silver lining for investors in the drug discovery and biotech space. 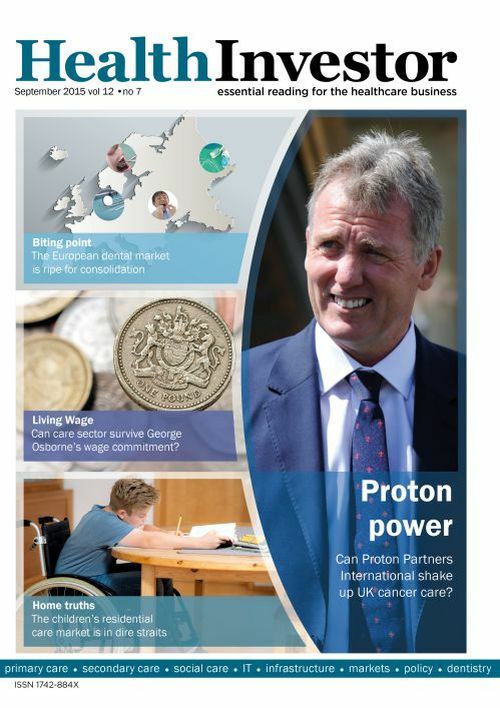 Personalised pharmacotherapy - who is it good for? 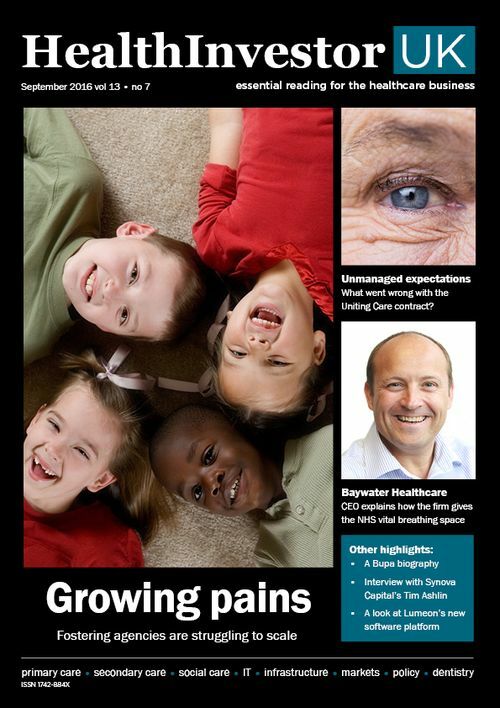 Dr Joe Taylor considers the implications of personalised pharmacotherapy for life sciences and healthcare. 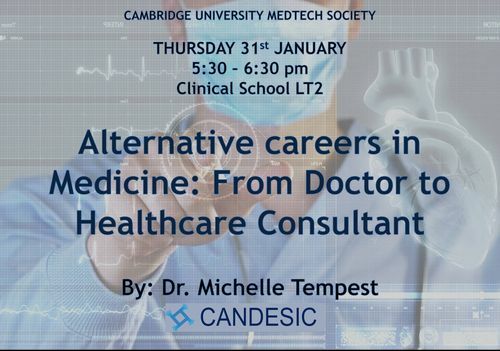 Dr Michelle Tempest and Dr Sam Winward of Candesic take a look at why AI is growing in healthcare and who to follow. 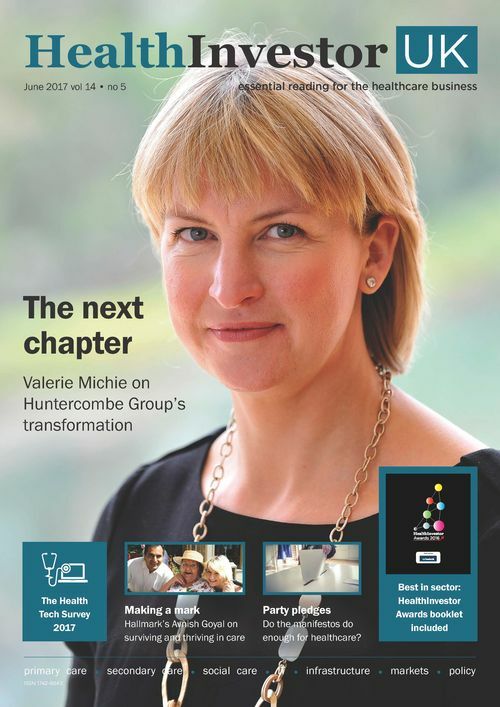 Having progressed from hospital doctor to management consultant, it is now Dr Michelle Tempest's mission to get more doctors involved in the management of healthcare to help guide positive change from within. 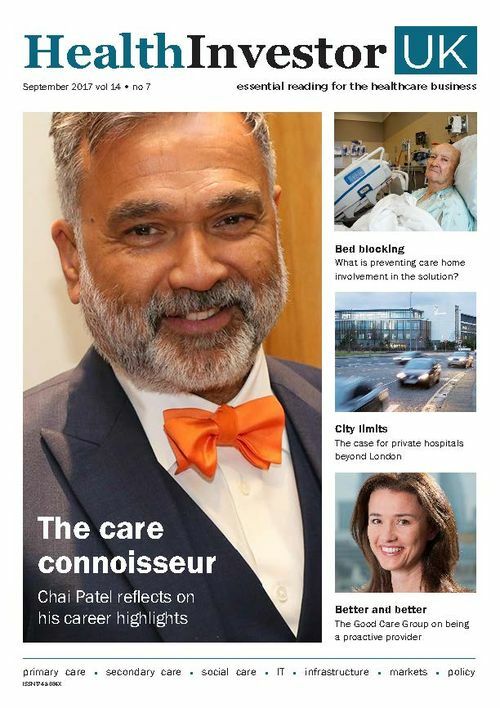 Dr Michelle Tempest Partner and Dr Sham Dholakia, Candesic expert, argue that "London calling" is so much more than a song by The Clash; it has become the speed dial signature tune to international medical markets. 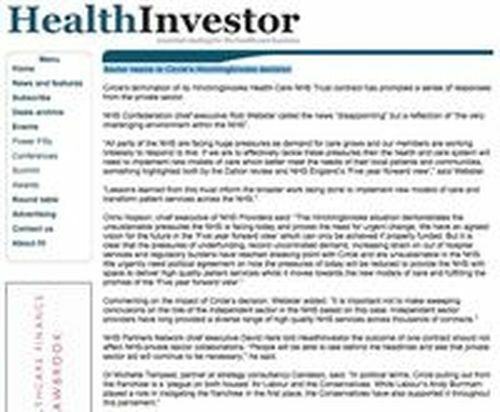 Dr William Watson wrote a letter on The Guardian responding to Jeremy Hunt's defence of his health policy. 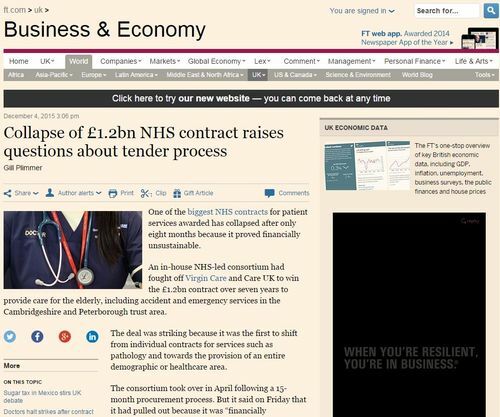 Dr Michelle Tempest commented NHS's recruitment in the Financial Times. 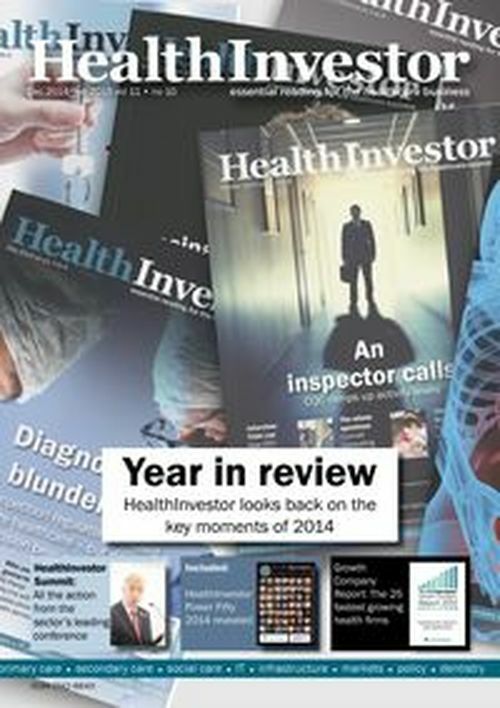 Dr Michelle Tempest commented on the private hospital opportunities in the HealthInvestor. 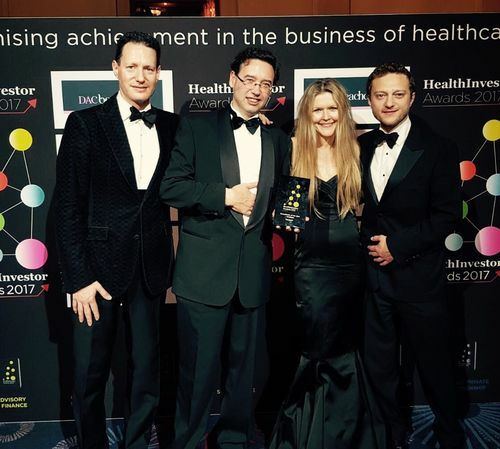 Candesic wins "Best Health & Social Care Management Consultancy 2017"
Candesic wins "Best Health & Social Care Management Consultancy 2017" in the 2017 Greater London Enterprise Awards, hosted by SME News. 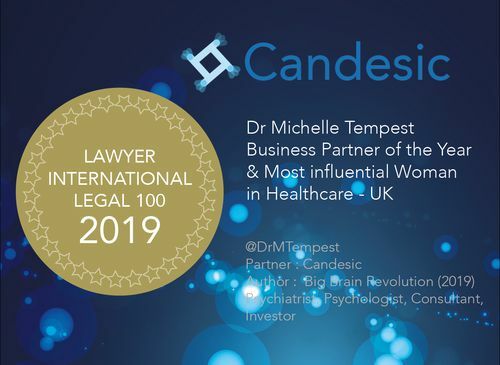 Dr Michelle Tempest wins: 'Business Partner of the Year 2017 - UK & Most Influential Woman in Healthcare' for Candesic, awarded by 'Female CEO Excellence Awards 2017'. 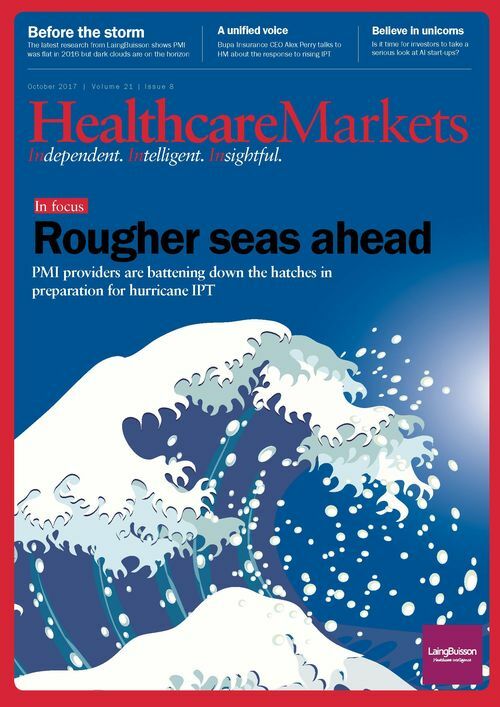 and explores what providers can do to stay ahead of the game. 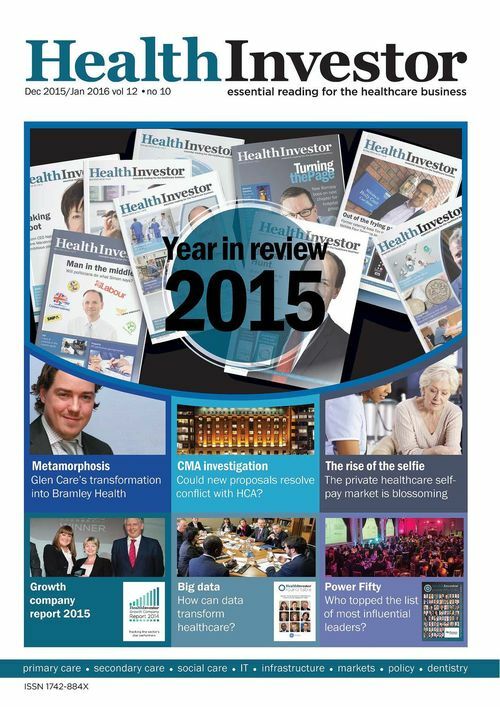 Why are investors reluctant to invest in mental health? 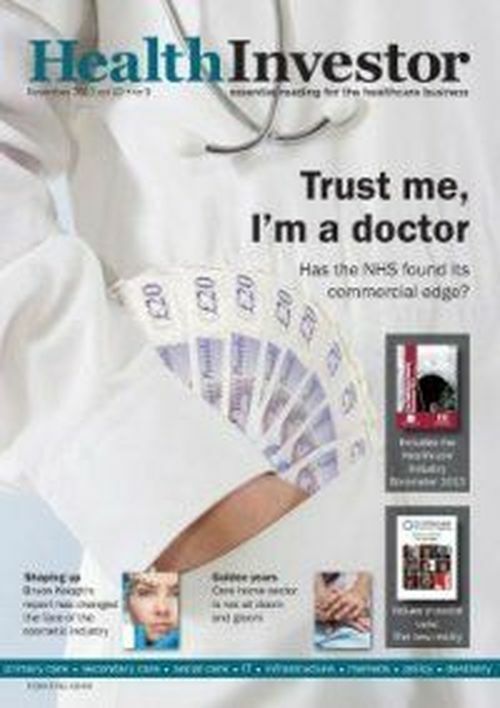 Dr Michelle Tempest comments on an article on mental health as published by Healthcare Business International. 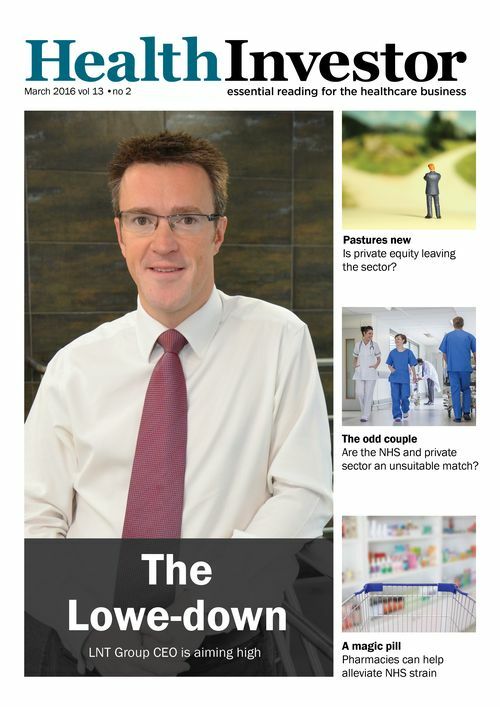 Candesic's Dr Joe Taylor considers the implications of the UK's shortage of doctors. 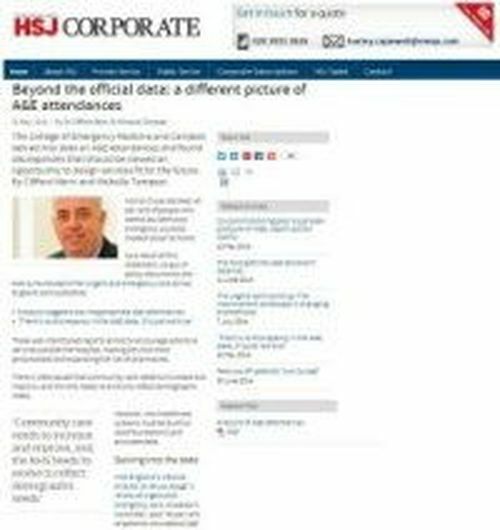 Dr Michelle Tempest comments on the public-private partnership models driving change in health and social care. 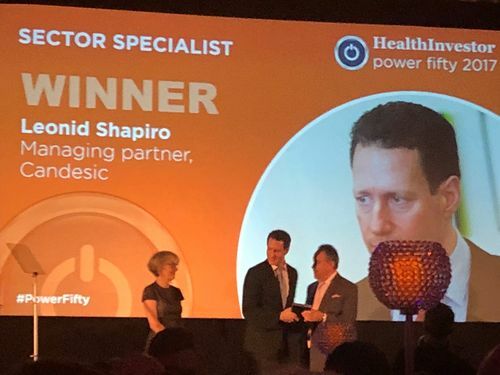 Candesic won Strategy Consultants of the Year at the HealthInvestor Awards 2017. We pride ourselves on delivering CEO level clarity with R&D level insight. 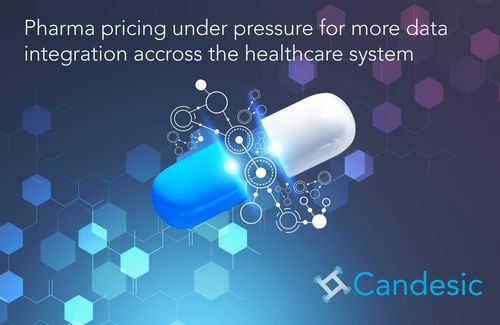 Marc Kitten and Dr Stewart Southey of Candesic review the latest applications of blockchain technology to healthcare and life sciences. Dr Joe Taylor appeared on Thailand's leading television network to discuss the NHS and implication of the UK General Election. 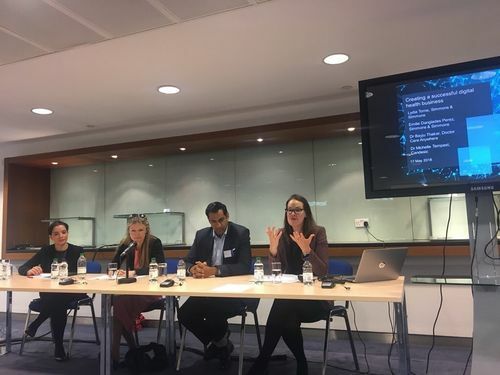 Private: Digitised mental health care is growing - but where is it going? 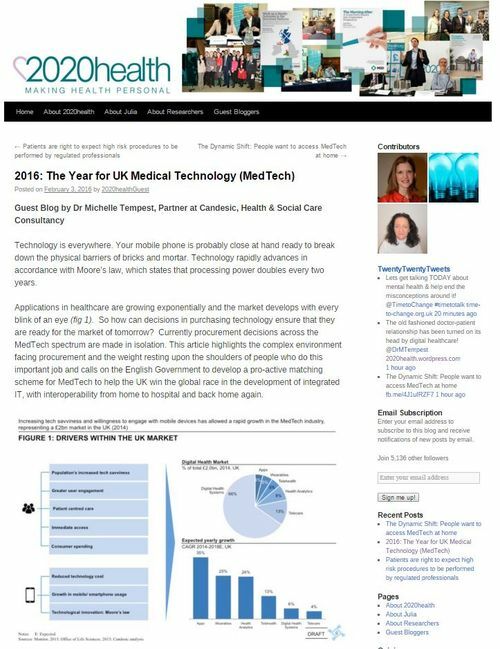 Dr Michelle Tempest talks to Healthcare Business International about Digital Healthcare in the UK and how it can expand globally. Dr Michelle Tempest and Paul Fegan researched on Acquired Brain Injury (ABI). 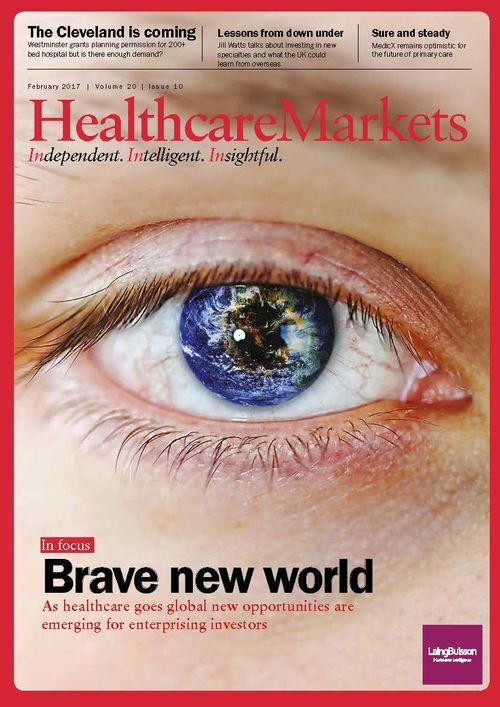 Is the mental health market set to go global, using click technology? 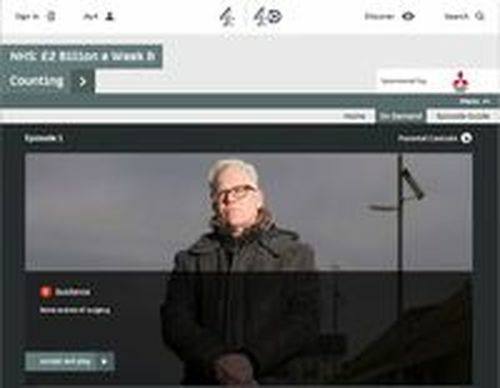 Dr William Watson commented on the Guardian's article. 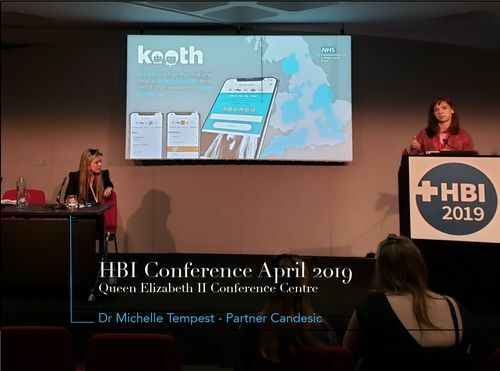 Dr Michelle Tempest has moderated the Psychiatry panel at the Healthcare Business International Conference 2017. 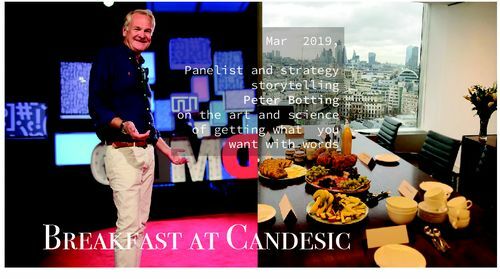 Dr Matteo De Martino and Dr Leonid Shapiro of Candesic predict how IVF clinics will win clients and upsell services in the future. 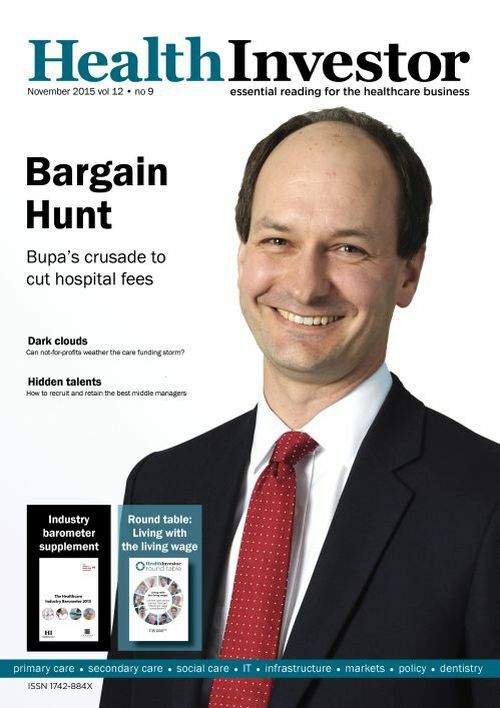 Dr Leonid Shapiro from Candesic commented on Mayo Clinic's plan to open hospitals in London. 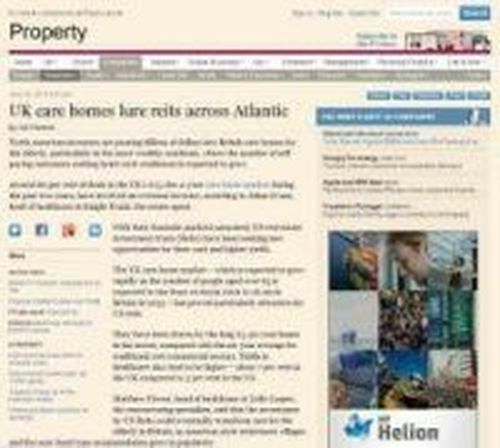 Dr Leonid Shapiro from Candesic commented on Mitie's sale of its homecare business to Apposite Capital. Can you feel investment in your bones? 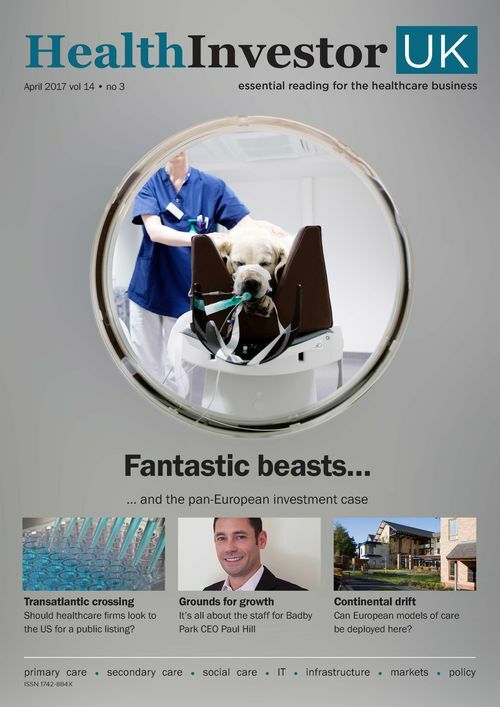 Dr Michelle Tempest and Dr Niklas Jahn of Candesic diagnose the investment case for the orthopaedic hip and knee joint replacement market. 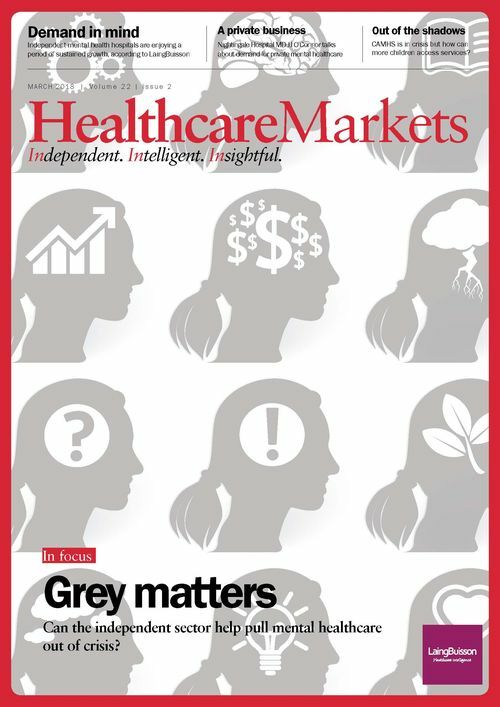 Dr Michelle Tempest analyses recent transactions in the mental health sector and discusses the emerging opportunities for investors in a service that is fast coming out of the shadows. 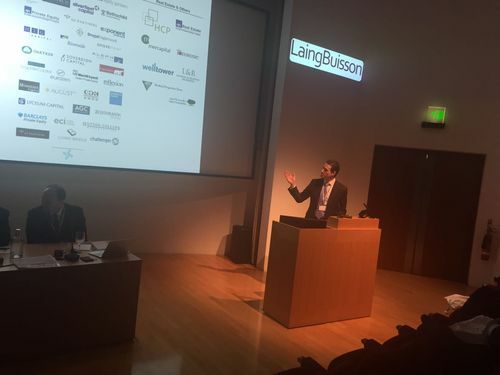 Dr Leonid Shapiro spoke at the LaingBuisson Investing in Healthcare conference on 8 February about how branding and marketing is affecting the health and social care market. 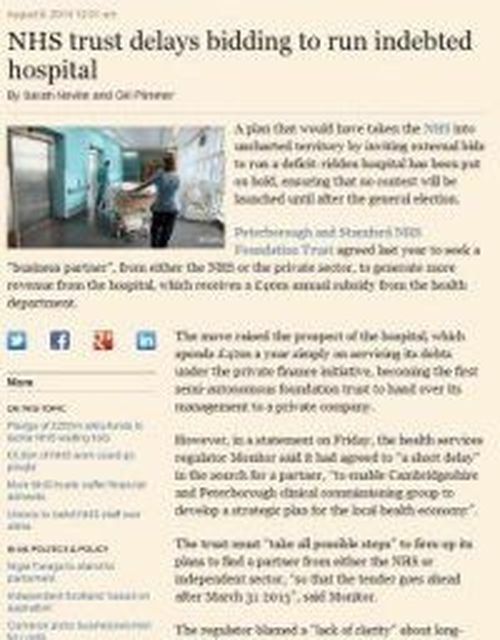 Dr Michelle Tempest is quoted in the Financial Times commenting about NHS outsourcing of England’s hip and knee replacement operations. 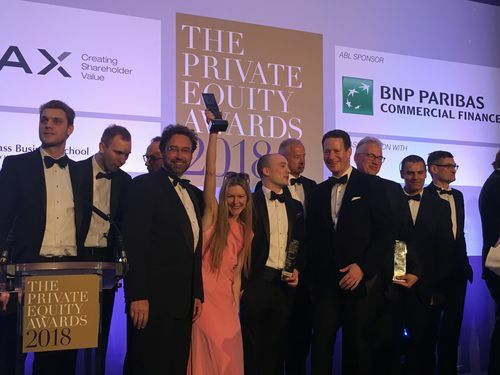 What is Private Equity to do? 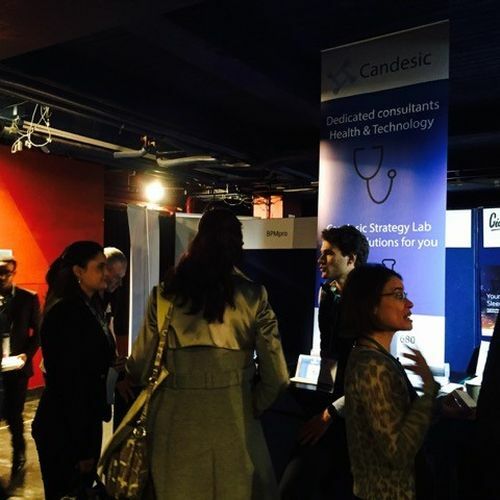 Candesic exhibited at the GIANT global innovation and new technology health event in November. The conference brought together leaders from across healthcare and technology, from established pioneers to the next wave of startups. 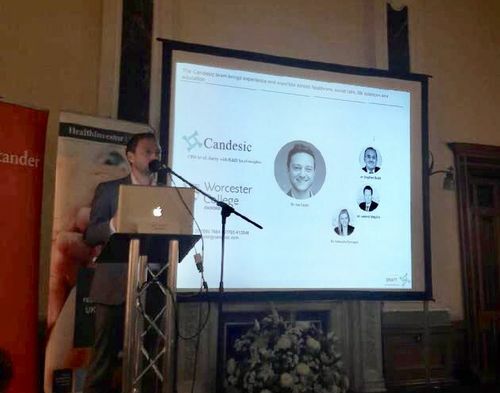 The Candesic team were on hand to discuss the means by which technology is transforming the delivery of care and enabling new ways of providing clinical services outside of hospital. 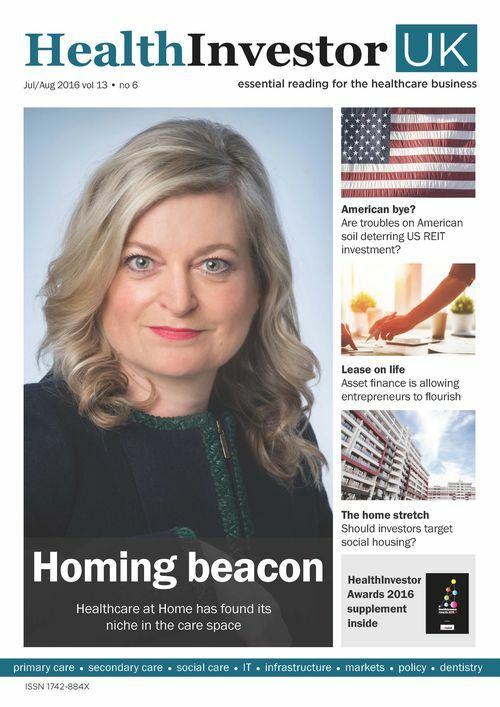 Dr Michelle Tempest and Patrick Bansch review the health and wellness market and consider an exciting new investment opportunity in a luxury holistic health hotel. 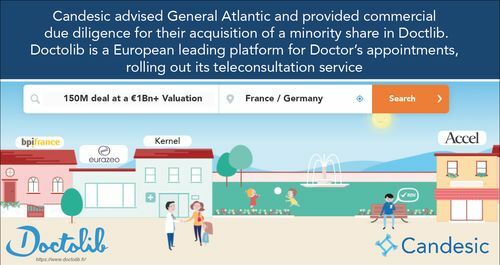 Can healthcare learn from online gaming? 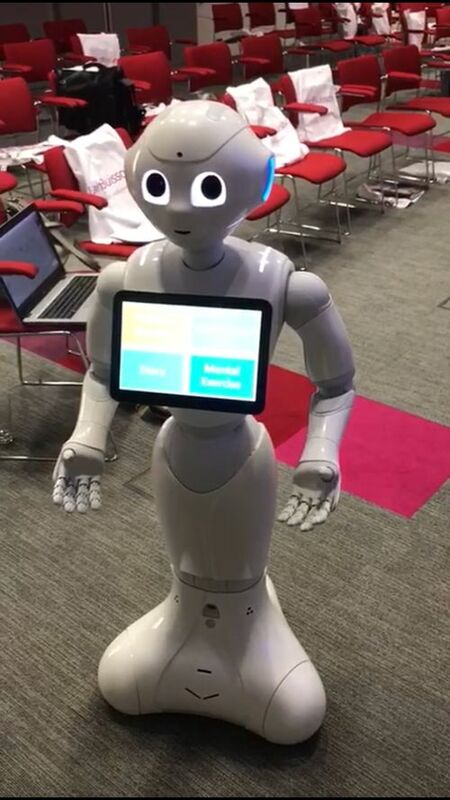 Dr Michelle Tempest, Miss Heidi Tempest and Dr Leonid Shapiro take a leap forwards into the brave new world of tomorrow’s tech enabled health and social care. 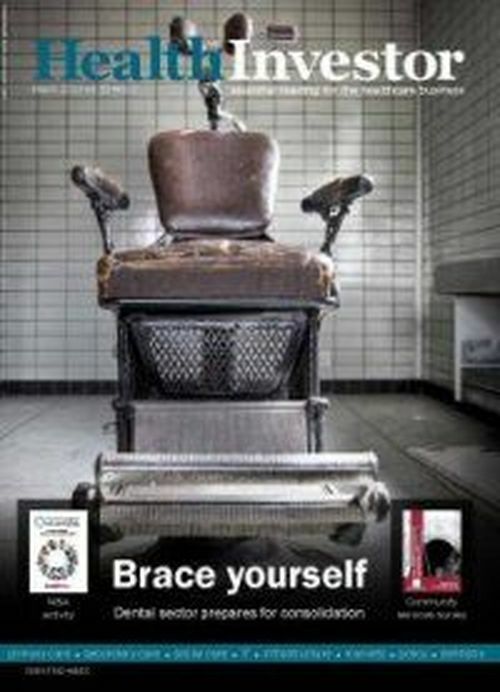 Candesic’s Dr Joe Taylor considers the journey ahead for learning disability services. 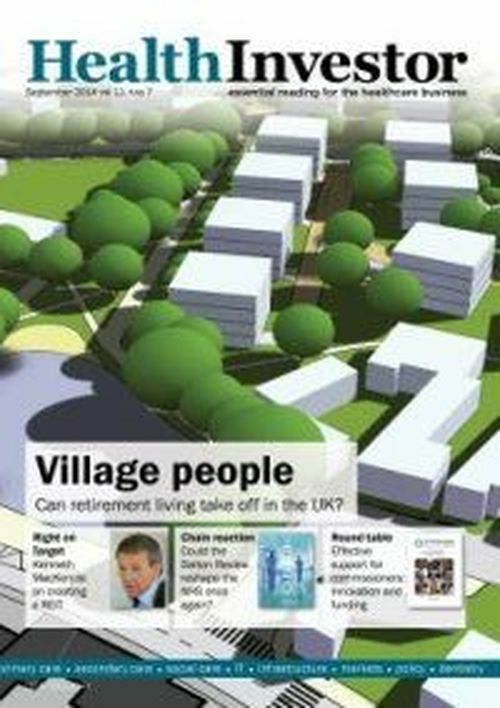 Dr Leonid Shapiro commented on the new opportunities in real estate. 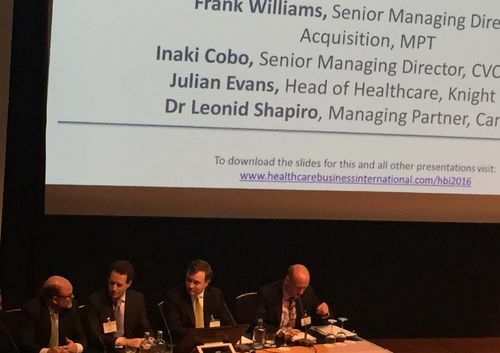 Dr Leonid Shapiro was on the panel discussion at the Healthcare Business International Conference on 26 April 2016. 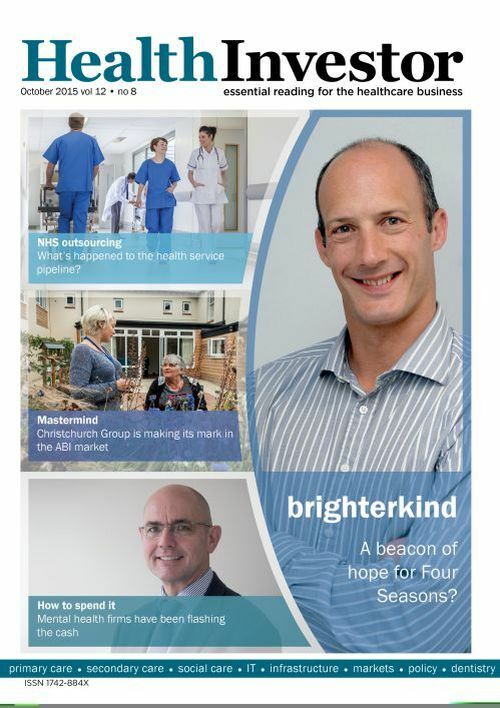 Dr Joe Taylor was invited to speak at the Browne Jacobson's Elderly Care Conference on 21 April 2016. 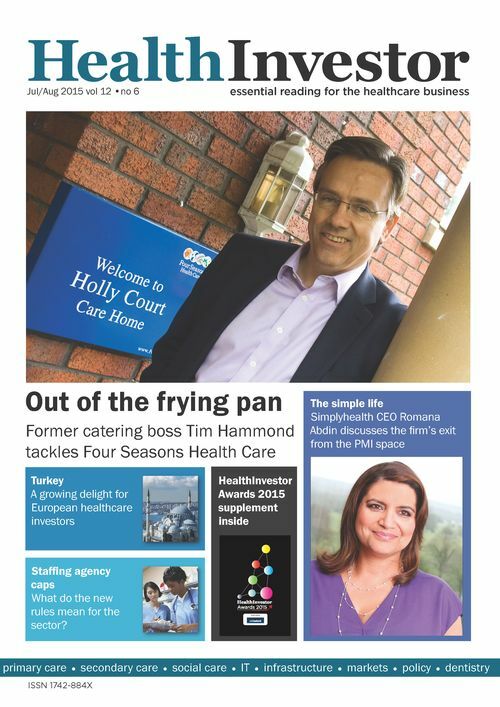 Joe considered the future of health and social care provision for older people, providing an overview of what the future is likely to hold from both technological and service configuration outlooks. 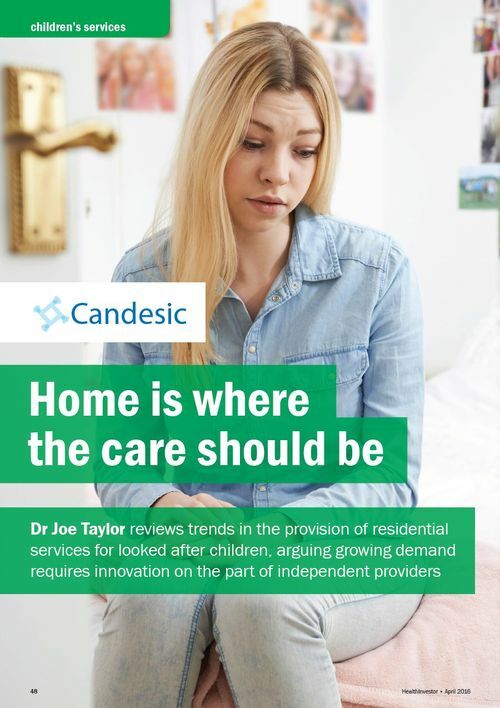 Dr Joe Taylor reviews trends in the provision of residential services for looked after children, arguing growing demand requires innovation on the part of independent providers. 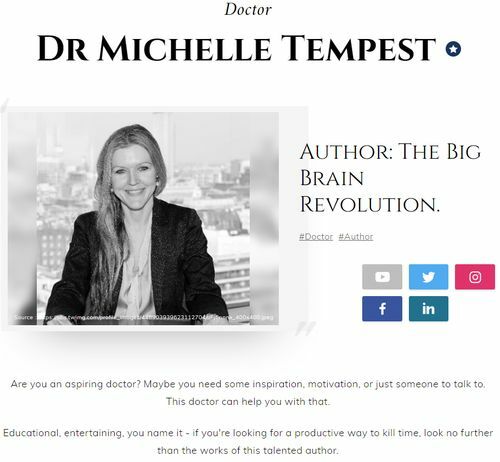 Dr Michelle Tempest is on the guest blog on 2020health. 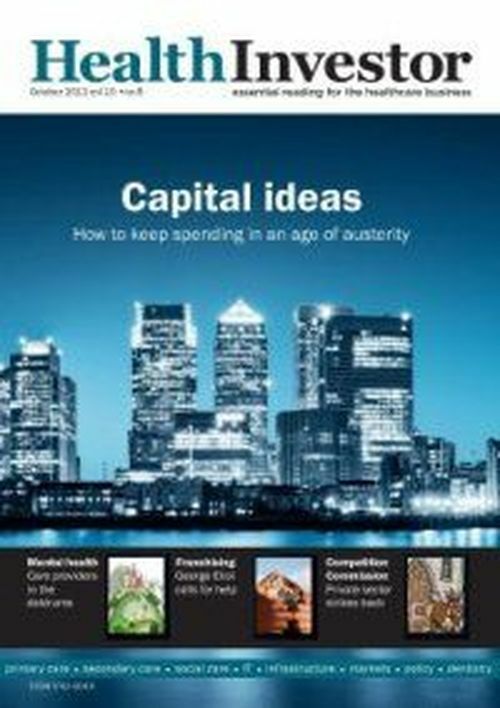 Candesic's analysis on social care funding. 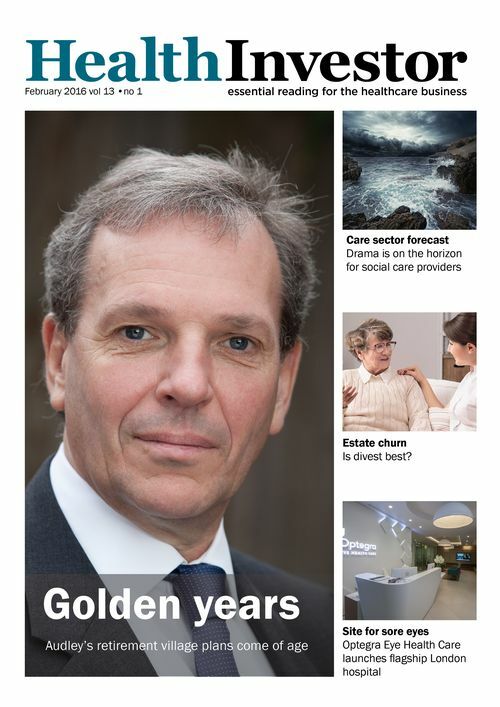 Social Care Funding: Has the government got it right? 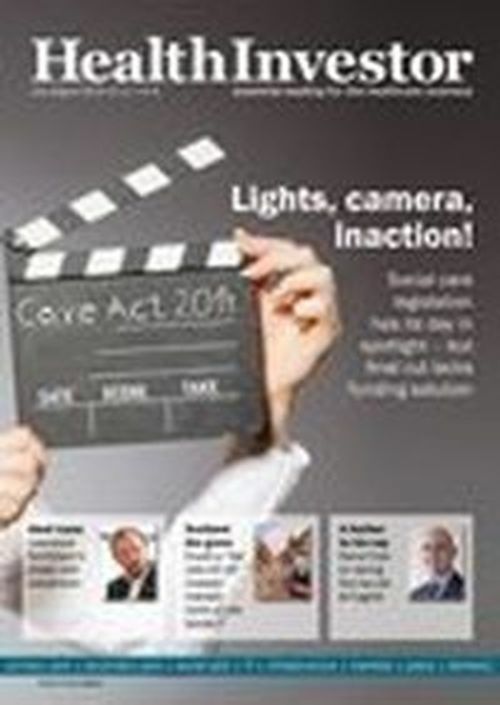 Dr Leonid Shapiro of Candesic examines what the latest government legislation means for the social care sector. 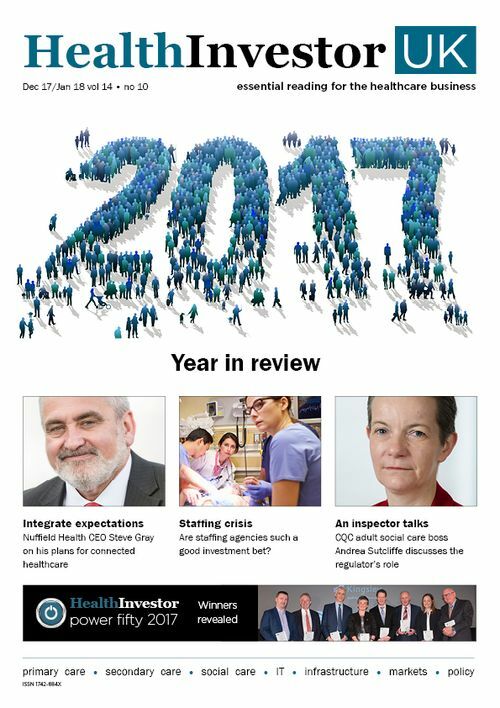 Candesic reviews the rapidly moving landscape within primary care and how the time is ripe for investment. 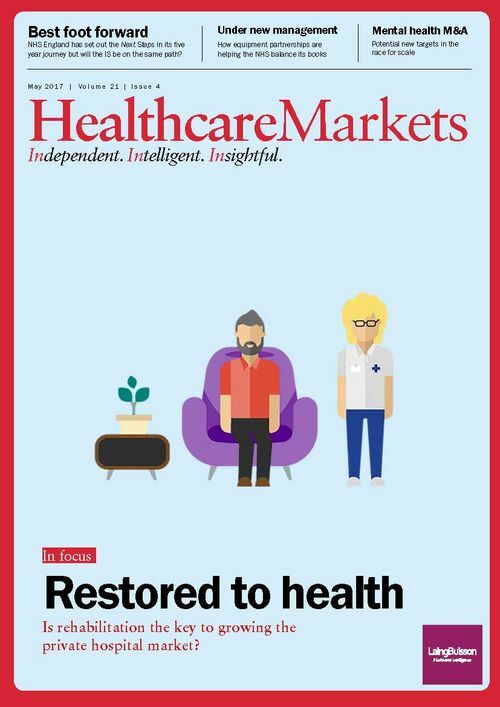 Dr Leonid Shapiro said "Healthcare is just becoming more consumerist..."
Candesic is quoted in the Financial Times discussing healthcare tenders and integrated care. 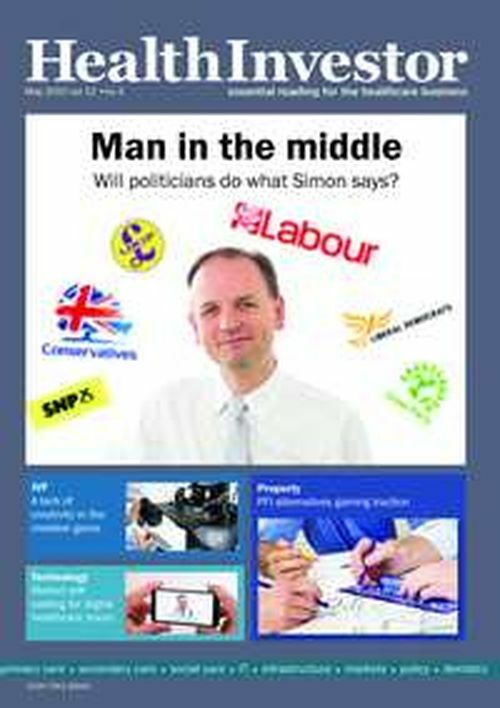 Dr Joe Taylor and Dr Michelle Tempest report from this year's Labour and Conservative party conferences. 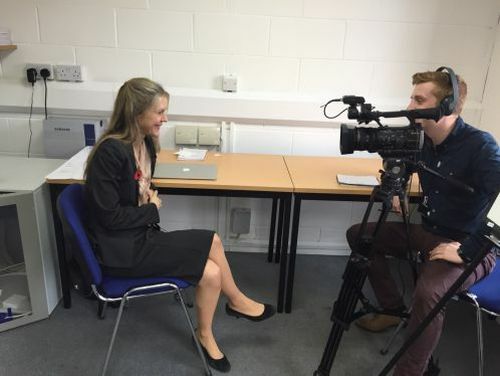 Dr Michelle Tempest was interviewed live by Cambridge TV about the challenges faced by Addenbrooke's Hospital and local Councils and was asked to consider the impact of the national living wage alongside the budgetary restraints. Michelle (@DrMTempest) spoke about potential innovative solutions to such issues. 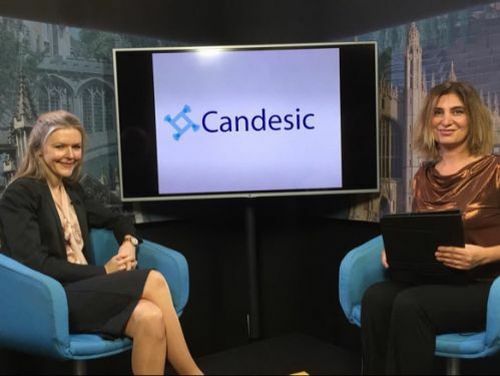 Dr Michelle Tempest gave an exclusive TV interview about Candesic's work. She described how the Candesic team develop solutions to real life healthcare business problems with a full time employed team mixing skills from business, front line healthcare experience and academia. 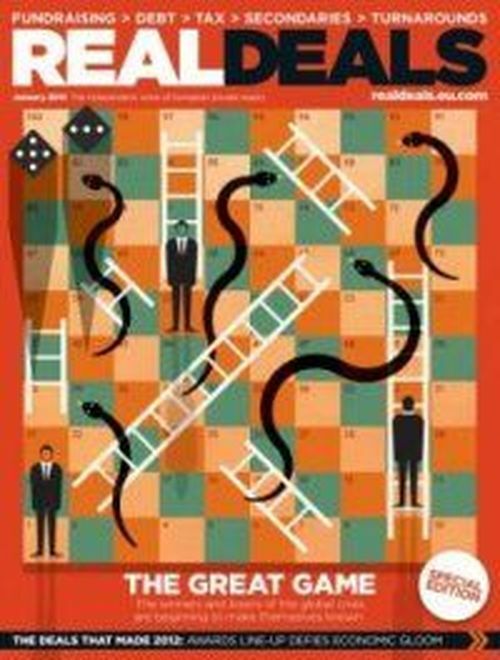 The team are always recruiting the brightest and the best - so come and get involved in strategic solutions! Candesic: CEO level clarity with R&D level insight. 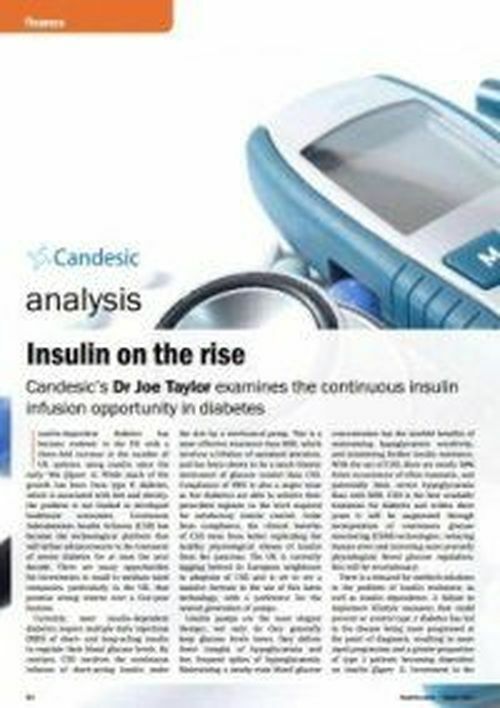 Dr Michelle Tempest commented on the Intuition Communications blog "one of the new models of private healthcare delivery might embrace an 'UberDoc' or an 'UberNurse' where mobile healthcare professionals could be summoned and paid for via an app"
Candesic's Dr Joe Taylor and Dr Leonid Shapiro consider what opportunities "medicalised" home care will bring to providers as the sector expands. 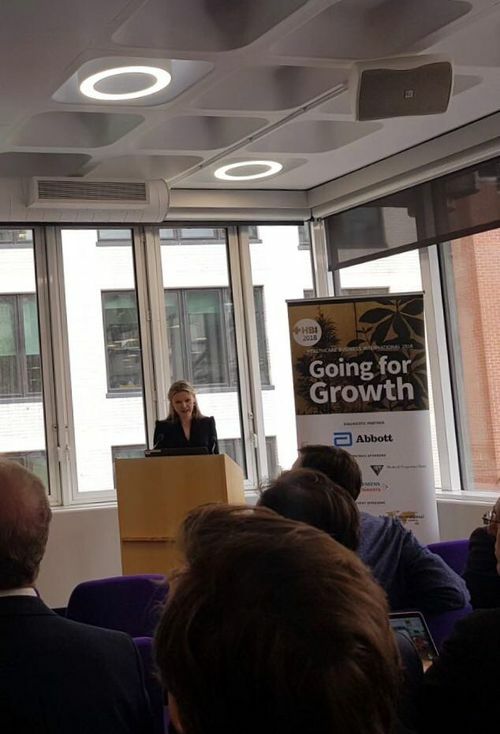 Dr Michelle Tempest was invited to speak at the LaingBuisson Private Acute Healthcare Conference on "Can private providers make NHS work profitable?" 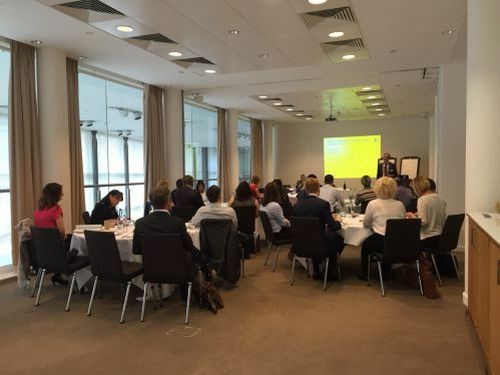 Dr Michelle Tempest chaired a conference on 8th September on "Benchmarking your NHS Private Patient Service". The day was a mixture of talks and group discussions, with plenty of learning about how things are done differently all around England. 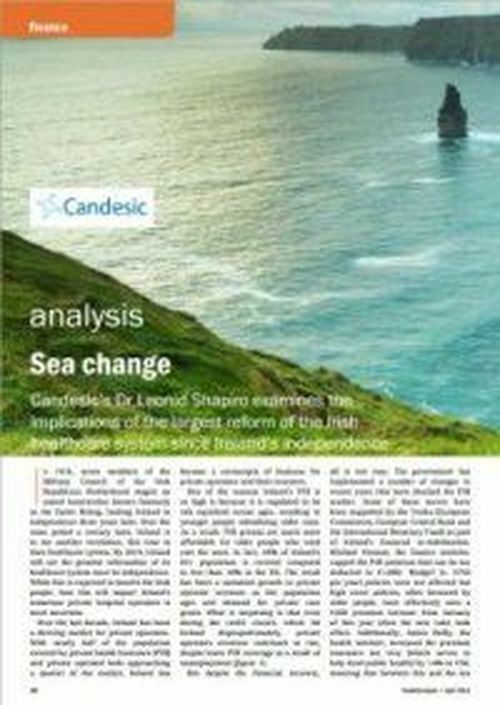 Dr Leonid Shapiro from Candesic examines the confounding factors challenging the elderly care industry and how operators should navigate the troubled waters. 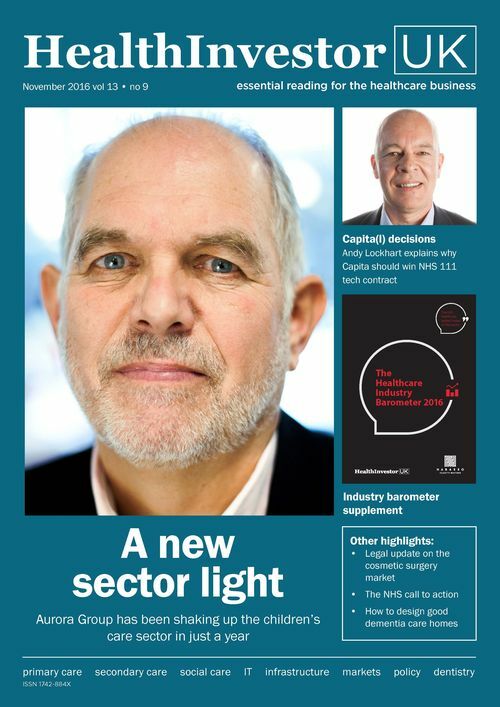 Dr Joe Taylor from Candesic investigates how software can drive the integrated care agenda. 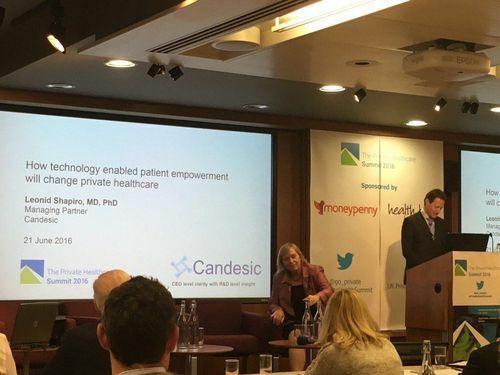 Dr Leonid Shapiro discussed about how technology enabled patient empowerment will change private healthcare. 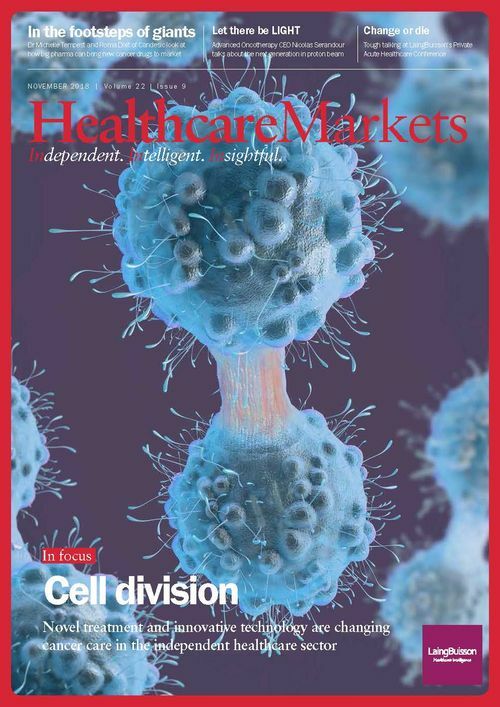 Candesic's Dr Robert Watson and Dr Michelle Tempest discuss medical advances in cancer treatment. 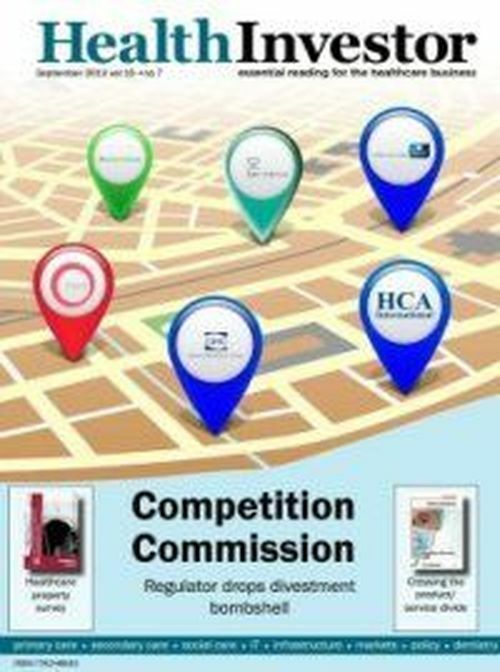 They explain medical terminology and how investment is vital in the global cancer race. The Election is here: Dr Michelle Tempest discusses the political ramifications for investors and providers. Candesic's Dr Joe Taylor gave his analysis on the injuries of Chuck Noland in the movie, Cast Away. 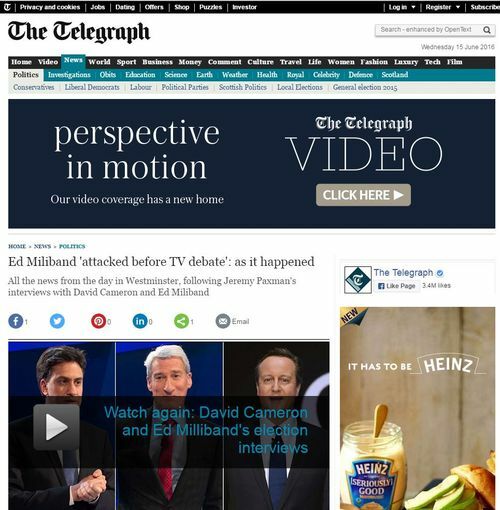 Dr Leonid Shapiro was invited to the programme, Ed Miliband "attacked before TV debate". 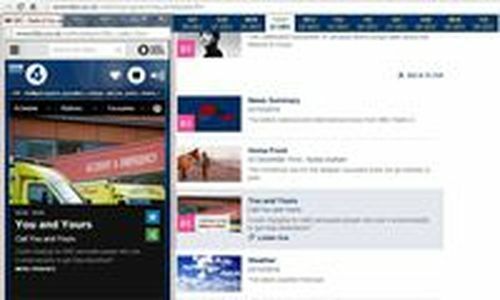 Dr Shapiro commented on the NHS and the private sector. 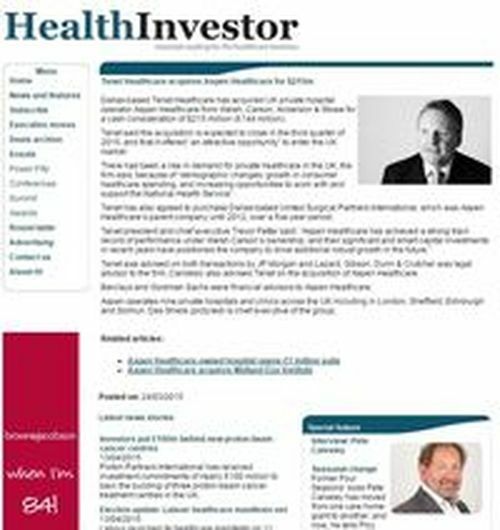 Dr Leonid Shapiro from Candesic advised Tenet on the acquisition of Aspen Healthcare. Dr Leonid Shapiro is interviewed with Andy Burnham about Labours&rsquo; plan to cap private sector profits from the NHS. Start Listening 8 minutes in. 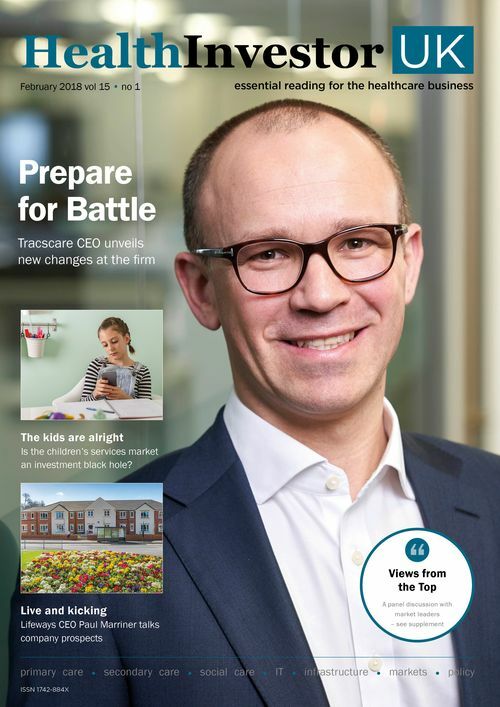 Dr Joe Taylor from Candesic considers changes in the UK fostering market and opportunities for growth in the independent provider segment. 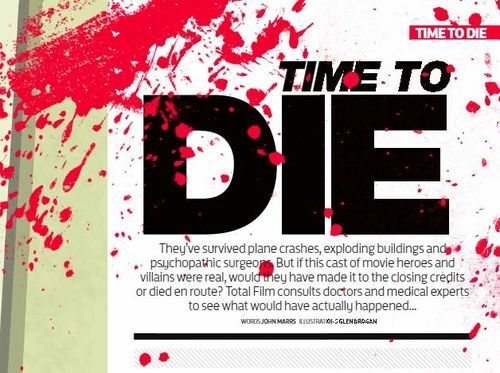 Dr Michelle Tempest was on Channel 4's documentary NHS: £2 Billion a Week and Counting. She discussed dementia care and future financial ramifications. 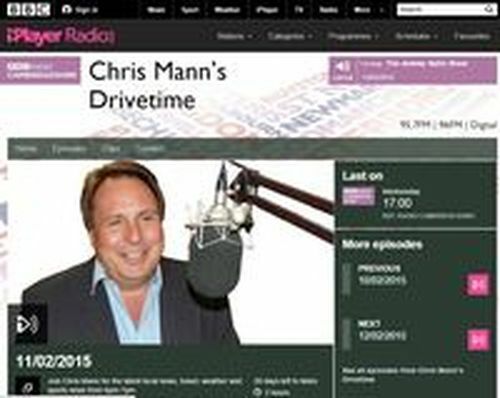 Dr Michelle Tempest was on BBC Radio Cambridgeshire to discuss about Acute Hospitals. 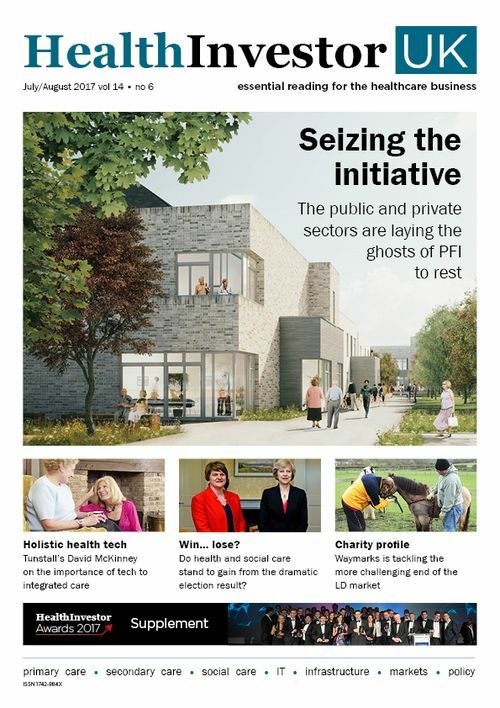 Dr Michelle Tempest at Candesic commented on the Financial Times "If it were a private company they would let it go bust but, given they can't, taxpayers will have to foot the bill for keeping the hospital running. 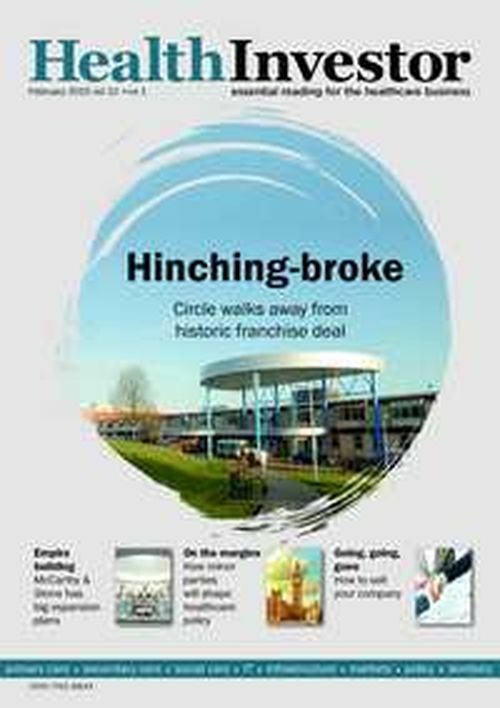 Circle has effectively limited its losses to £5m but it is the NHS that will now have to pick up the pieces and decide what to do"
Dr Leonid Shapiro at Candesic points out "A secure placement costs around a quarter of a million pounds a year and some of the private operators have quite a lot of these people, so they stand to lose a lot of revenue if this goes through"
Dr Michelle Tempest at Candesic argues "NHS England put its own tank on the multi-coloured political lawn"
Dr Leonid Shapiro at Candesic commented "The fact that several large providers are exiting the publicly paid for home care market shows that funding is insufficient. 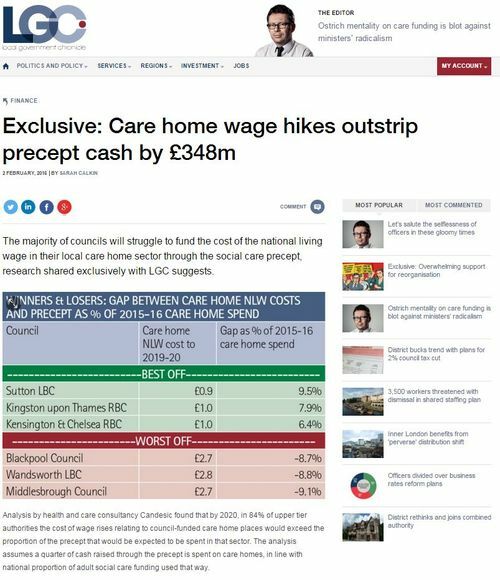 Given that the bulk of homecare is privately provided, funding levels will have to improve dramatically. Which ever party wins the general election." 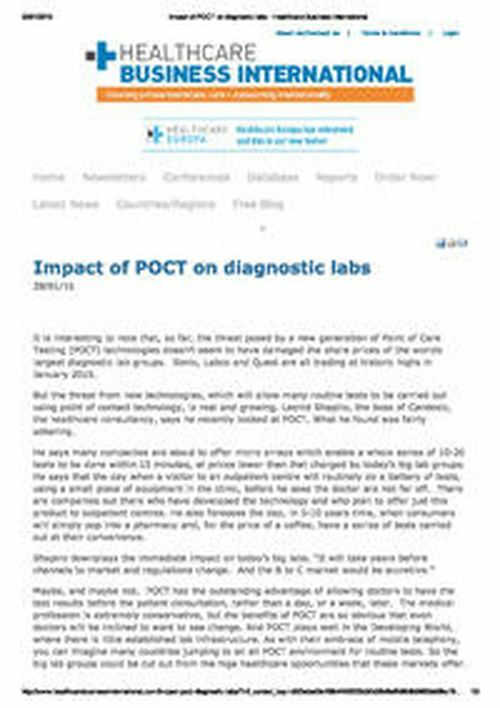 Candesic's Dr Leonid Shapiro gave his professional opinion on Point of Care Testing (POCT) technologies. 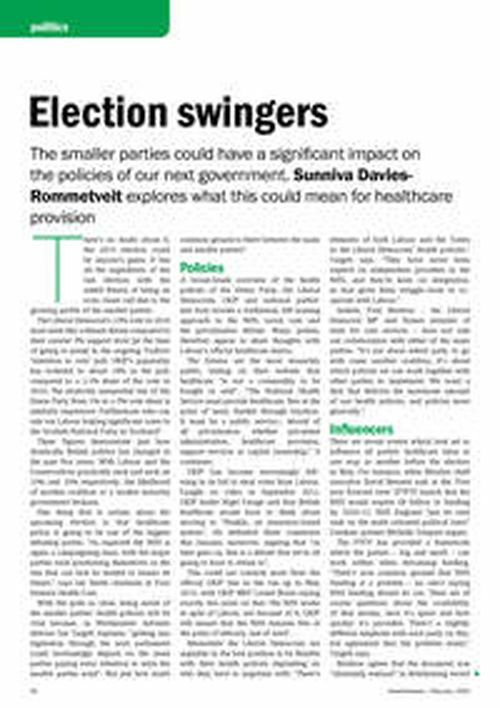 Healthcare: political hot potato or key to electoral success? 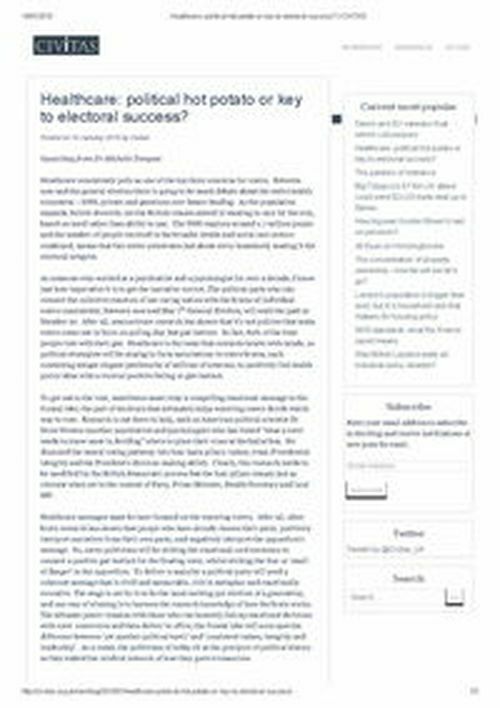 Dr Michelle Tempest explains the key academic research for a successful election campaign. With just over 100 days until the general election, political parties should move away from spin doctors to facts, data and outcomes. 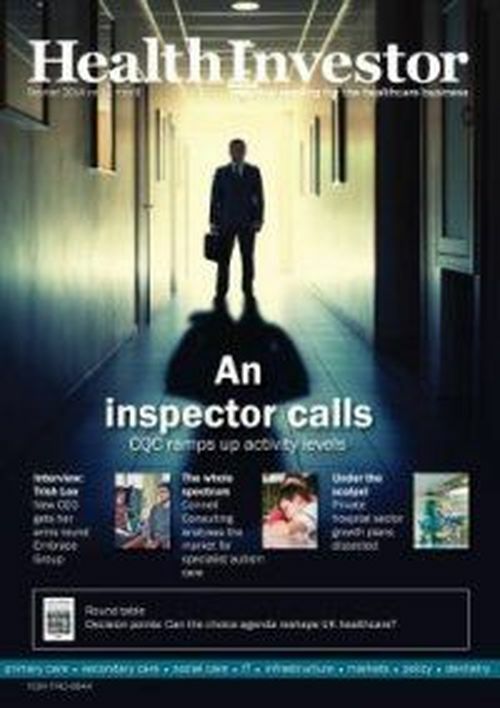 Dr Michelle Tempest comments on the sudden announcement of private operator Circle withdrawing from the NHS contract of the 369-bed hospital in Cambridgeshire. 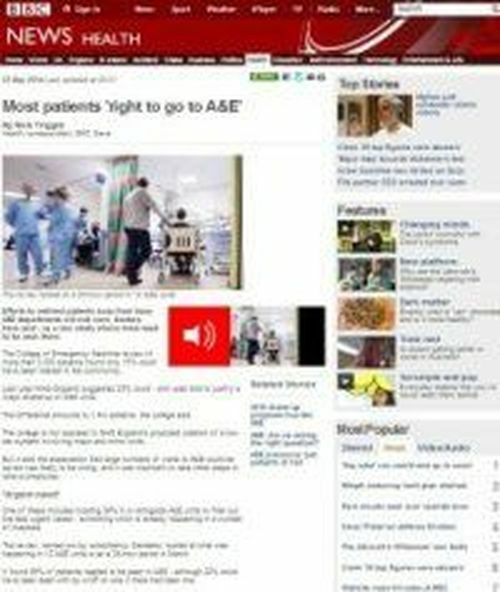 Could charging for A&E persuade people who use it unnecessarily to get help elsewhere? 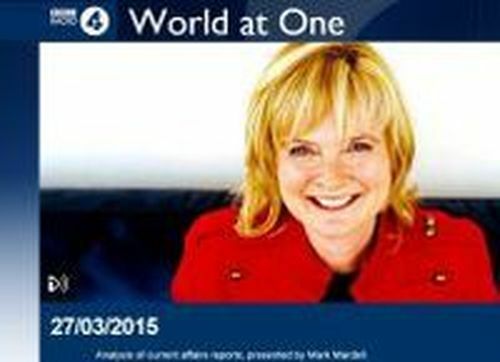 Candesic's Dr Leonid Shapiro gave his professional opinion on BBC Radio 4. 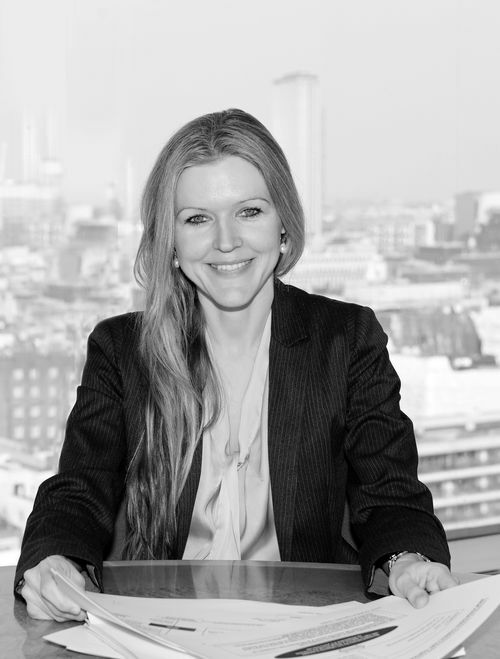 Candesic's partner Dr Michelle Tempest comments on Sunniva Davies-Ro's article. Dr Tempest speculates that the document hasn't necessarily excluded private providers. 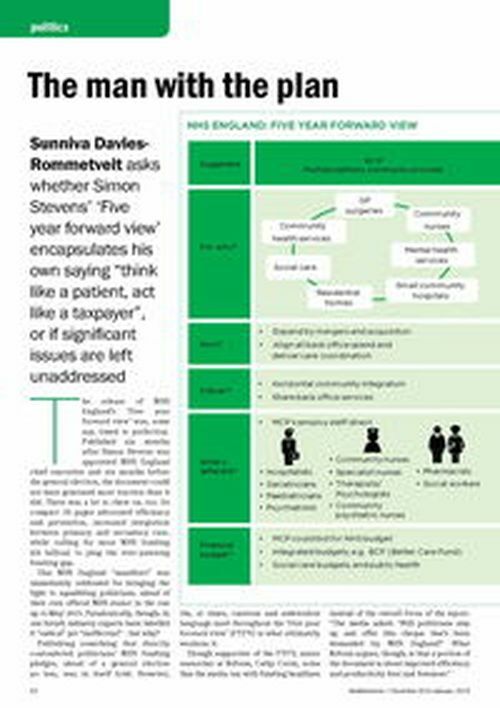 "Within the conglomeration of providers that the FYFV says should work together, it's pretty ambivalent whether these would be private operators, NHS or both." 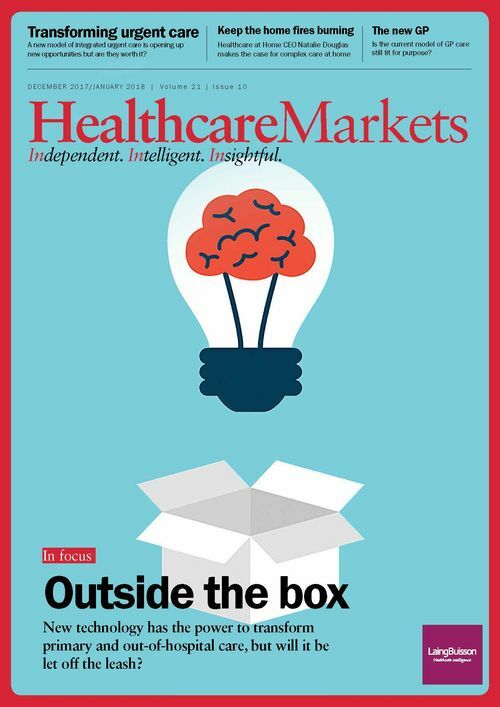 Marc Kitten and Dr Joe Taylor explore how existing software platforms and technologies could address healthcare's looming workforce crisis. 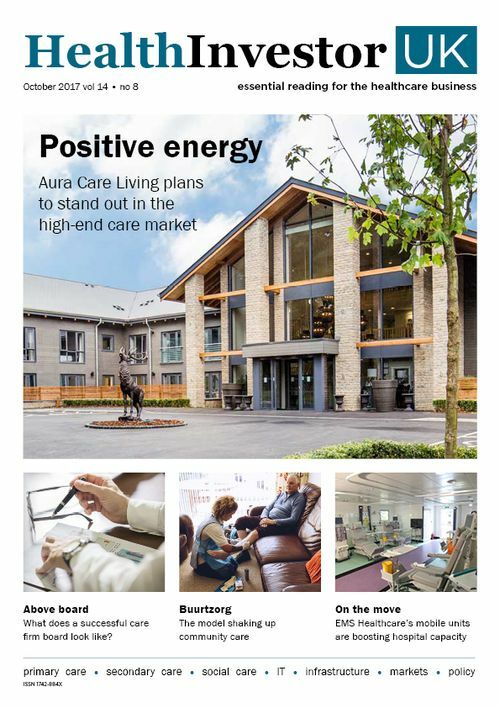 Dr Leonid Shapiro and Paul Fegan of Candesic examine how intensive home care is being considered as an alternative to institutionalising people with debilitating neurological conditions. 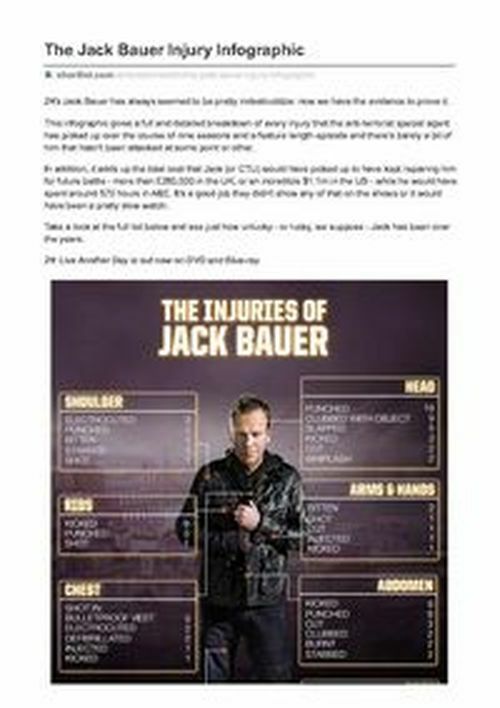 Dr Joe Taylor gave his professional analysis on the injuries of Jack Bauer in the movie, 24: Live Another Day. 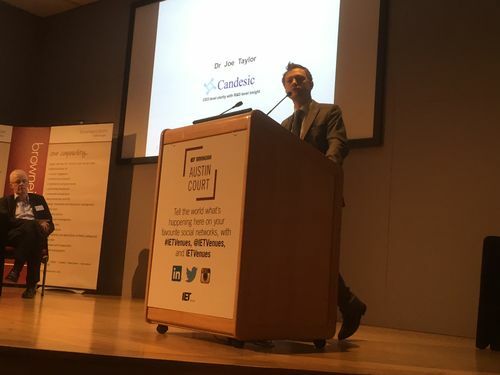 Candesic's Dr Joe Taylor argues mHealth is not a luxury, but a necessary element of 21st century medicine for care providers. 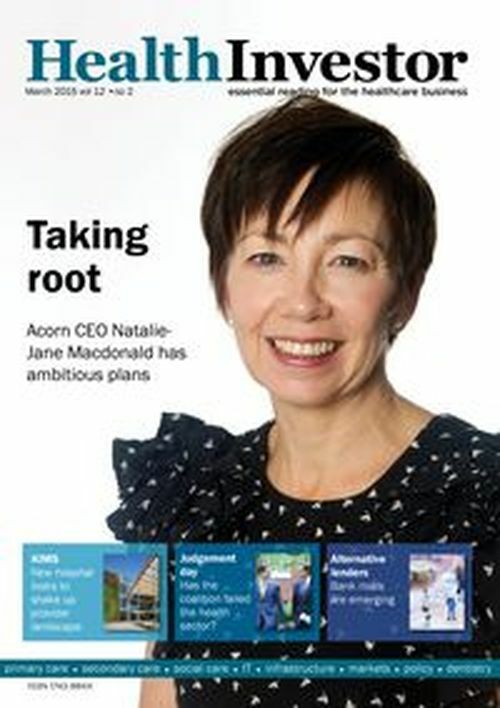 The £3.5bn special schools market is about to be transformed. 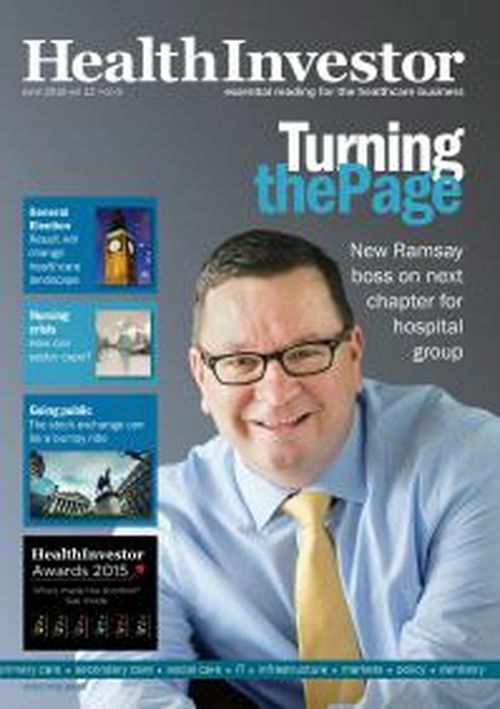 But providers must ready themselves for the changes, argues Candesic's Dr Joe Taylor. David Burrowes MP, co-chair of the All Party Parliamentary Group on Complex Needs & Dual Diagnosis, and Dr Michelle Tempest of Candesic challenge health & wellbeing boards to deliver integrated addiction services. 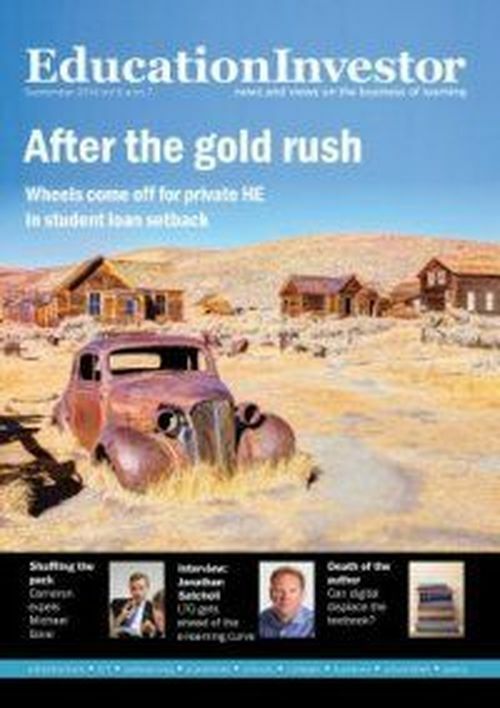 Dr Michelle Tempest gave her expert opinion to Financial Times. 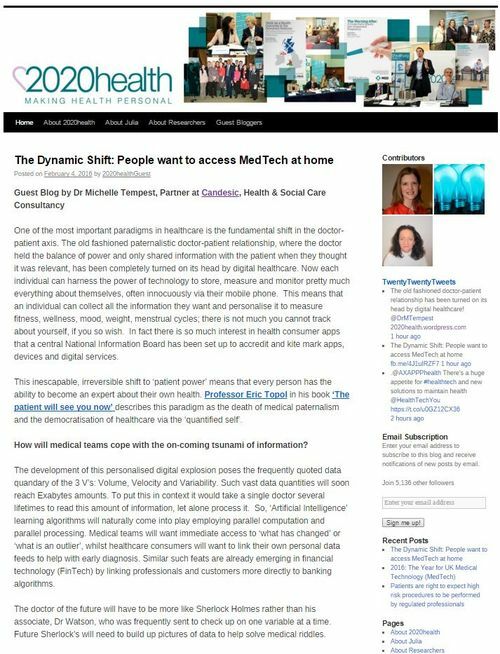 Dr Michelle Tempest investigate how patient empowerment facilitated by the internet, is changing healthcare. 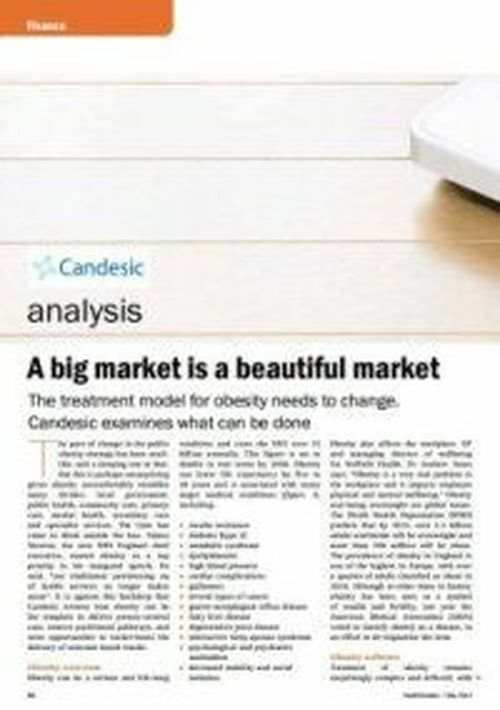 "Candesic continue to impress because of their stability, deep sector knowledge and hands on approach"
"They have a broad client base across the public, private, and not for profit sectors"
"Healthcare specialists, Candesic are advising the pioneers in the sector, helping to define the markets and strategy of the future"
Clients say they offer exactly what management consultants should offer: 'real grass route experience to deliver thoughtful business strategy"
Dr Michelle Tempest and Marc Kitten of Candesic consider the explosive growth in medical tourism. 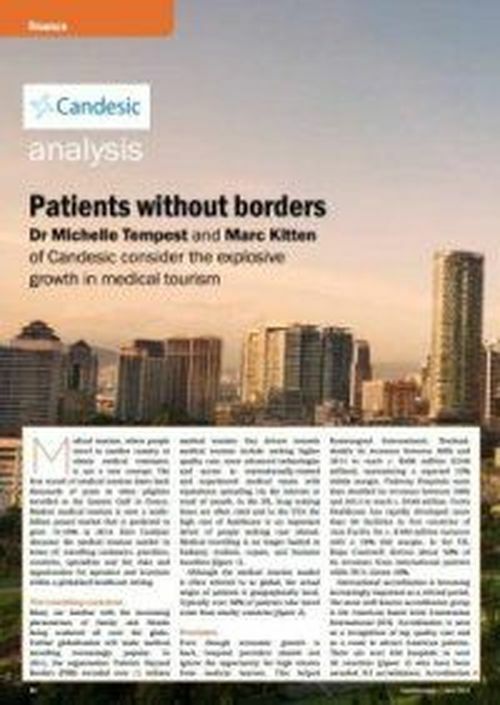 Dr Michelle Tempest reviews medical tourism trends. 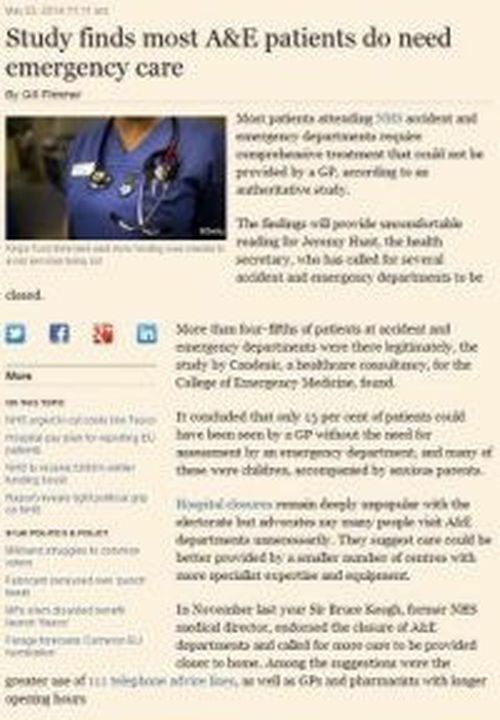 Efforts to redirect patients away from busy A&E departments will not work, doctors have said - as a new study shows most need to be seen there. Most patients attending NHS accident and emergency departments require comprehensive treatment that could not be provided by a GP, according to study by Candesic. 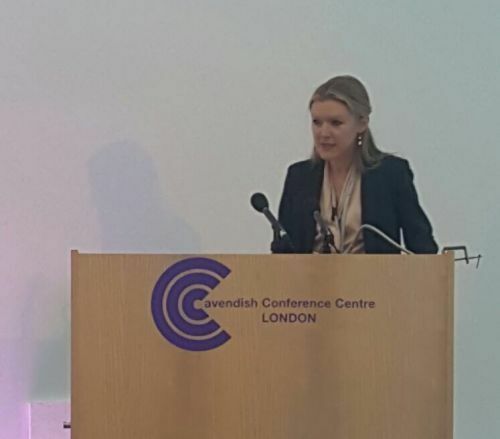 Dr Michelle Tempest said "the treatment model for obesity needs to change. Candesic examines what can be done. 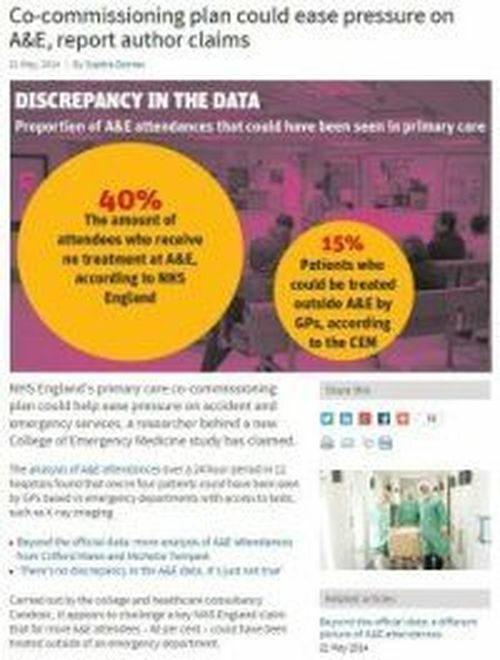 NHS England's primary care co-commissioning plan could help ease pressure on accident and emergency services, a researcher behind a new College of Emergency Medicine study has claimed. 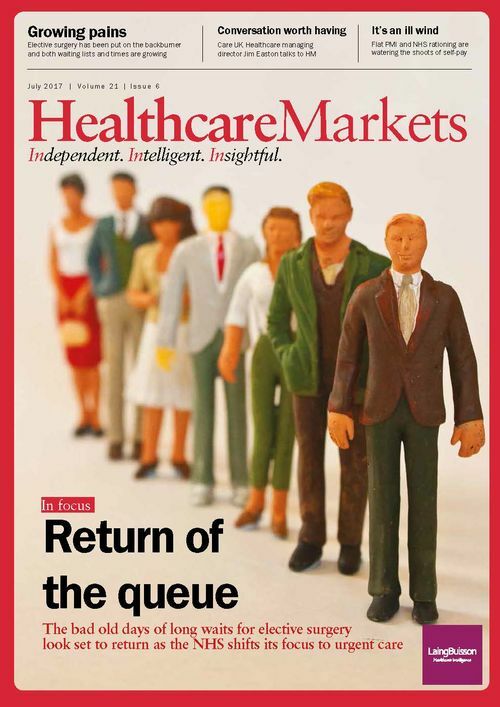 An invesigation of the implications of the largest reform of the Irish healthcare system since Irelands's independence. 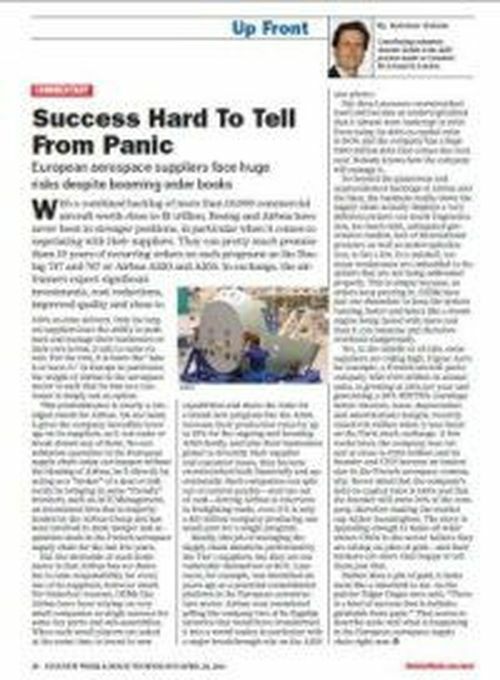 Candesic's Dr Joe Taylor comments on the article: "Anyone who can offer CCGs expertise on managing their services more efficiently potentially has much to gain from this"
European aerospace suppliers face huge risks despite booming order books. 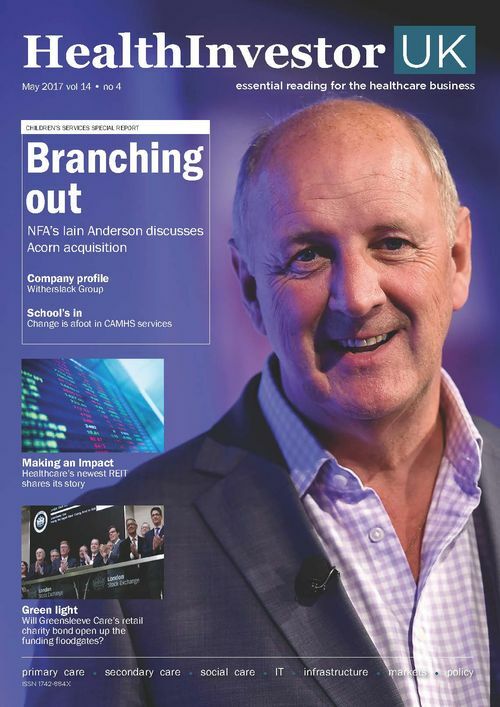 Big data can fuel opportunities for providers and investors, says Dr Joe Taylor, but it's not without its added burdens and potential pitfalls. 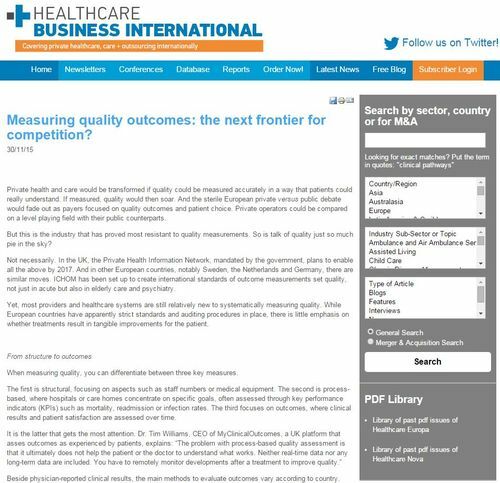 Dr Druin Burch and Dr Leonid Shapiro explore how prime contracting is overhauling the NHS ecosystem. 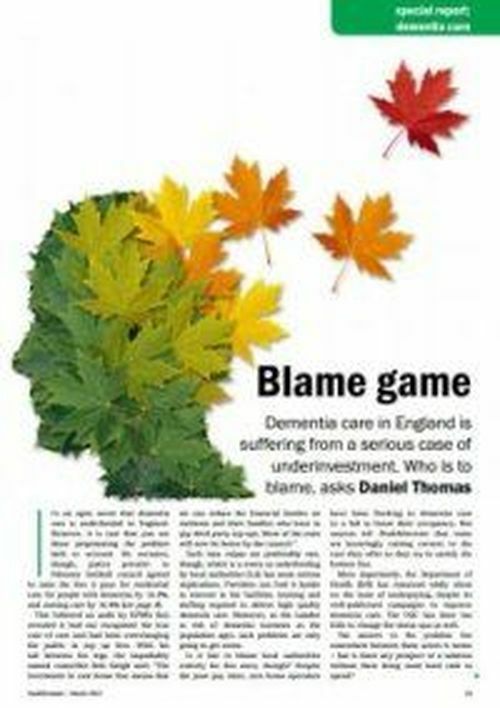 Dealing with dementia: obstacles or opportunities? 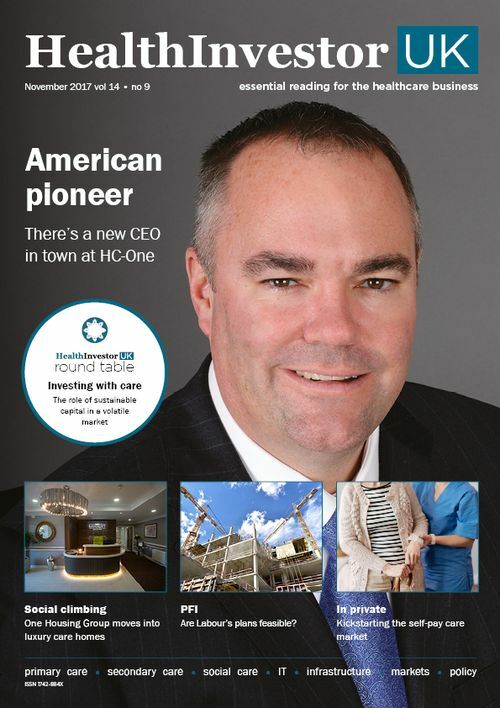 Can integrated care save our healthcare system? Dr Leonid Shapiro discusses how the current system is not up to the job of delivering modern medicine. 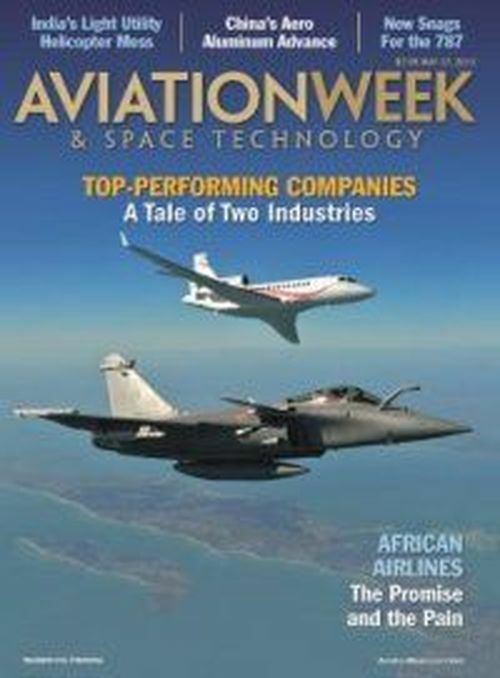 Antoine Gelain discusses the uncertainty in the defence contracting industry. 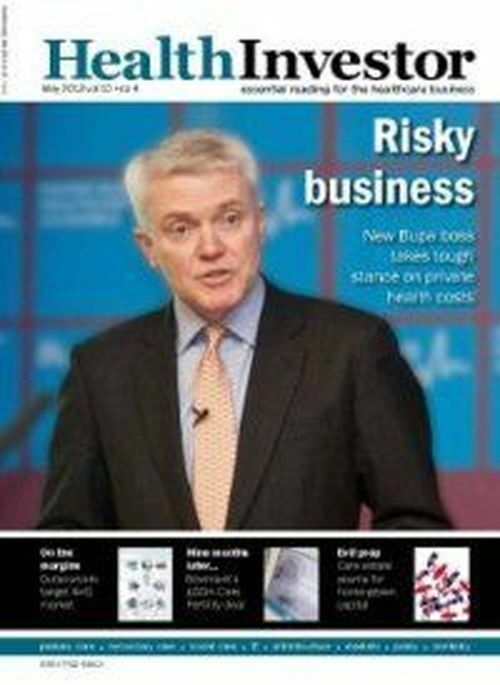 Future of IVF: public or private? 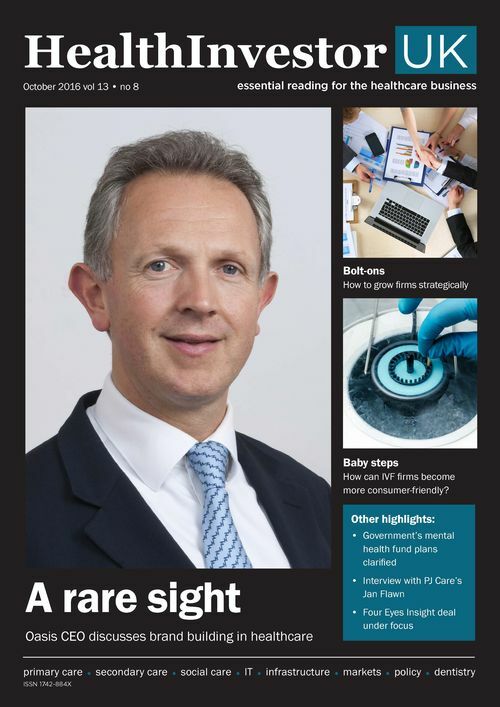 Dr Leonid Shapiro and Loic Llamas examine how the line between private and NHS fertility clinics is blurring. 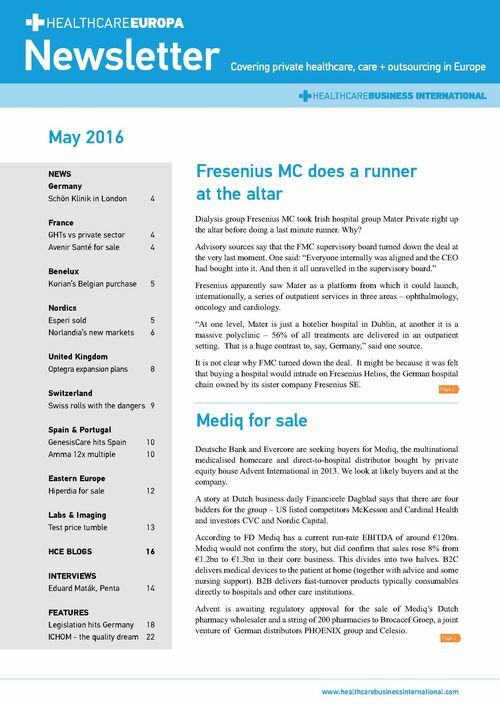 Marc Kitten and Alice Gaudillat consider investment opportunities across Europe. 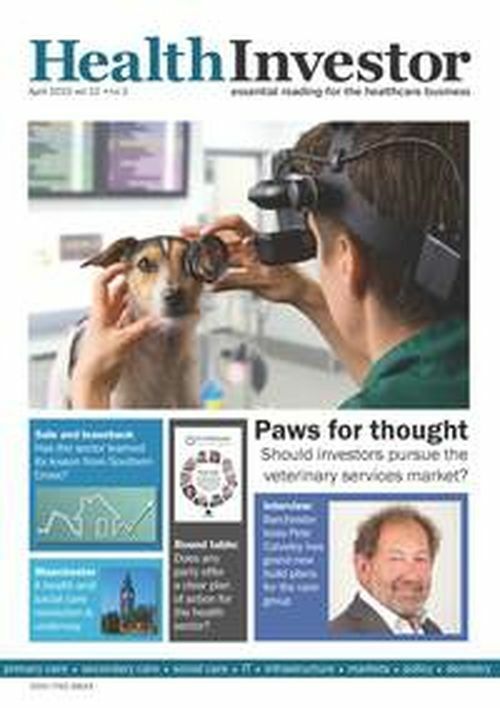 Dr Leonid Shapiro investigates the future of the UK fostering market. 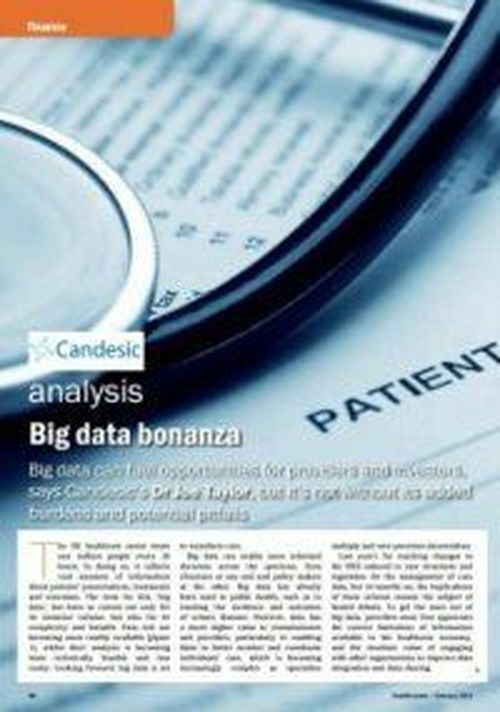 Candesic's Dr Leonid Shapiro comments on the attractiveness of healthcare deals in the current tepid market.